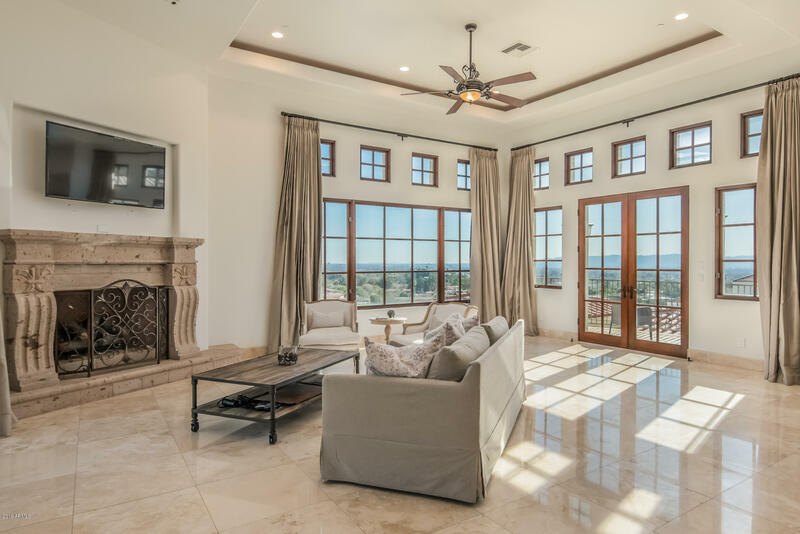 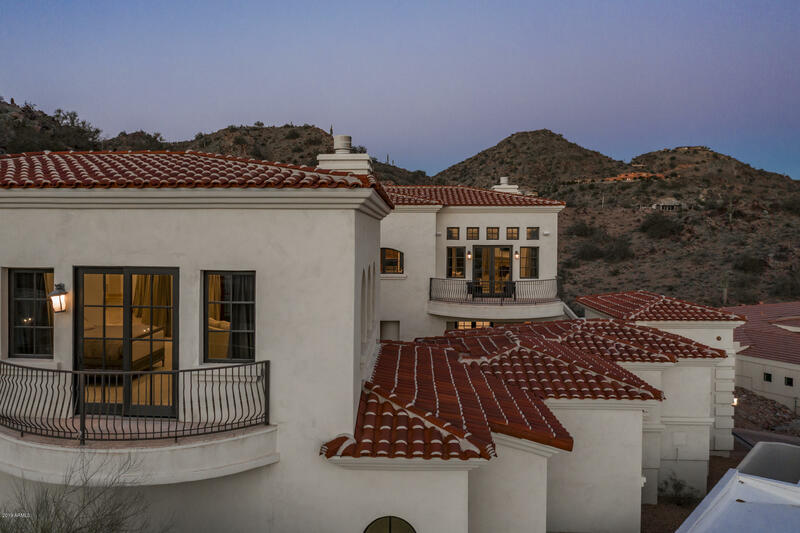 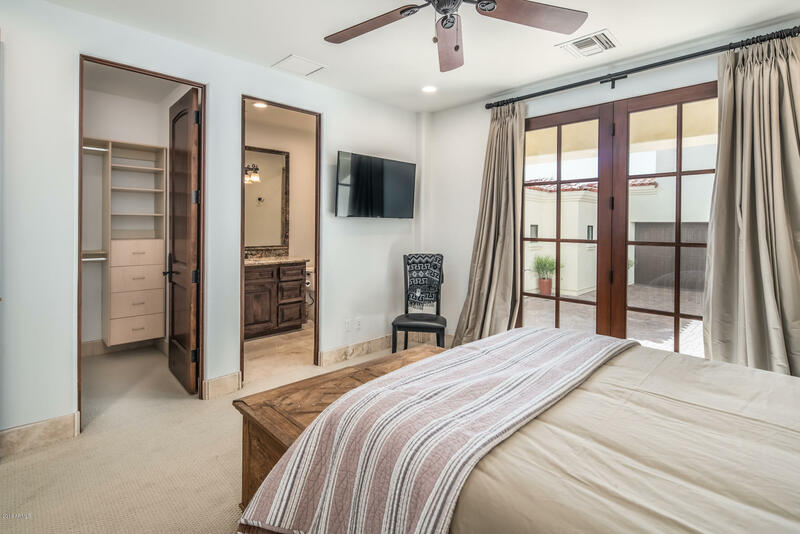 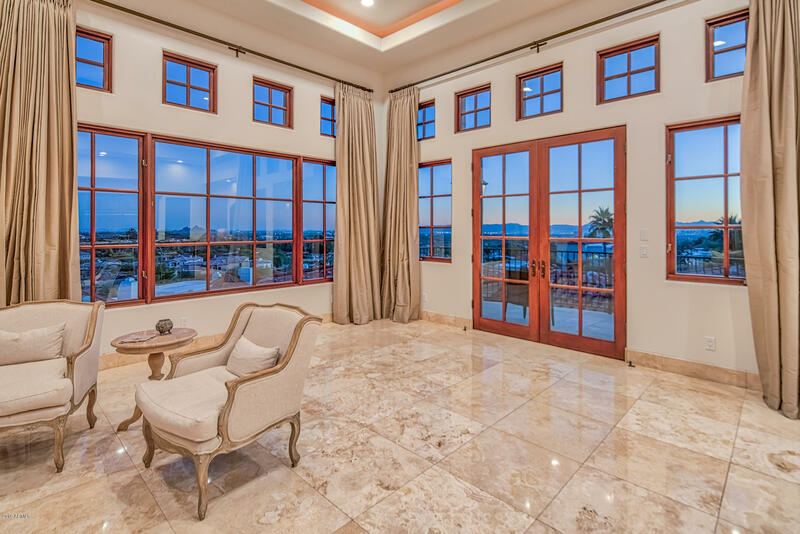 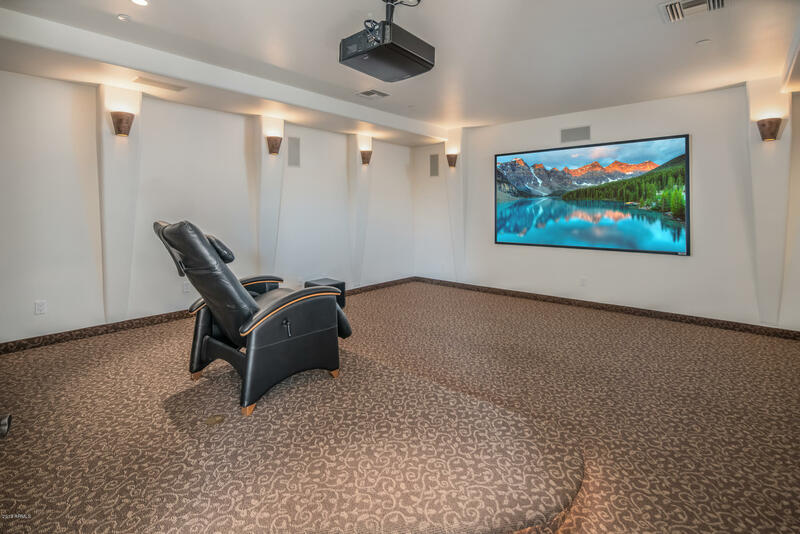 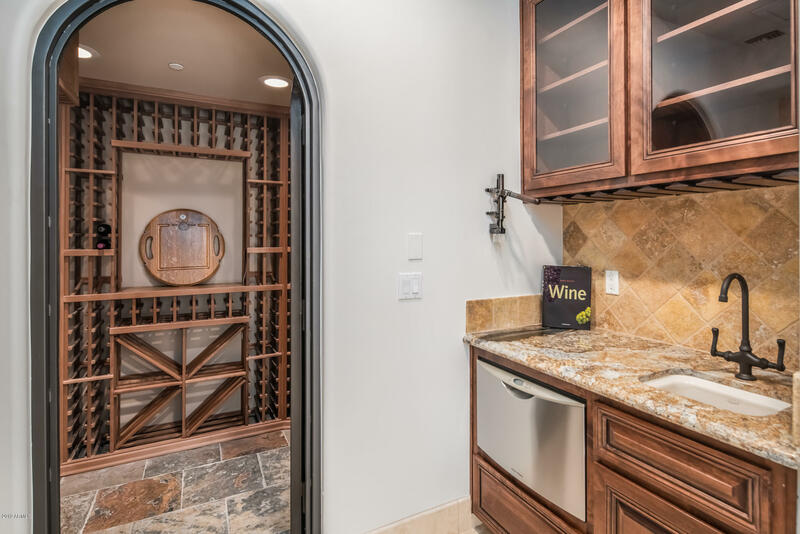 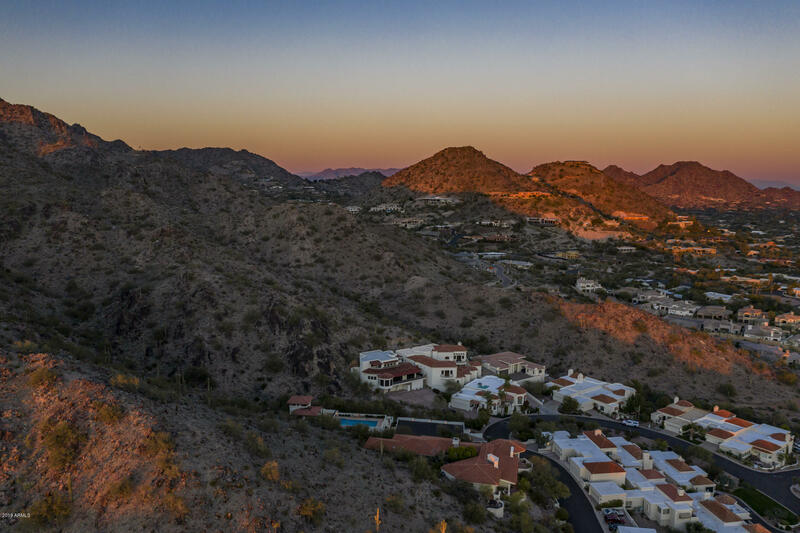 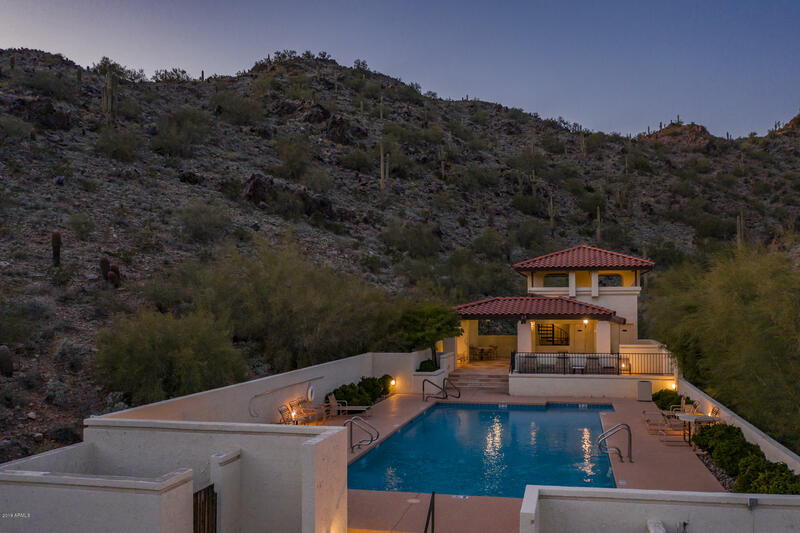 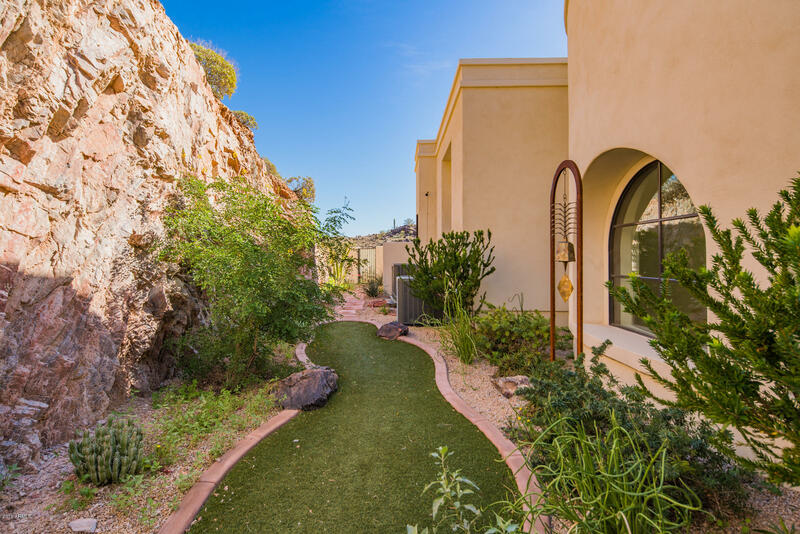 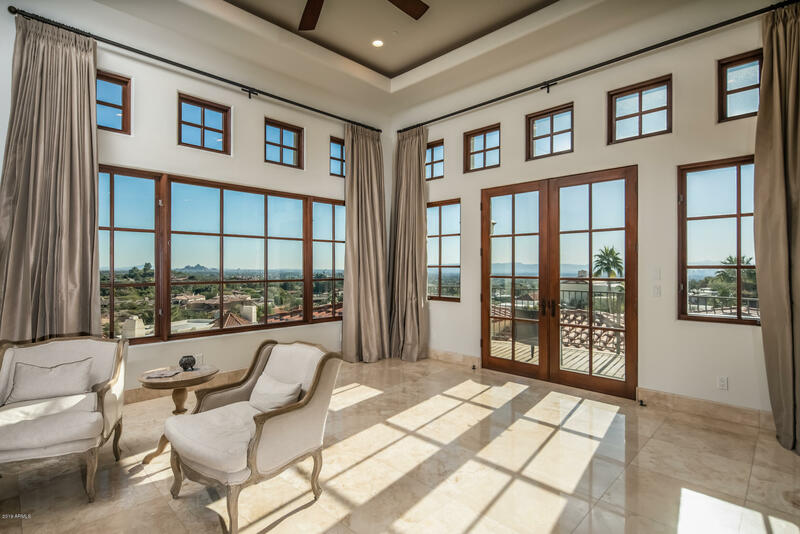 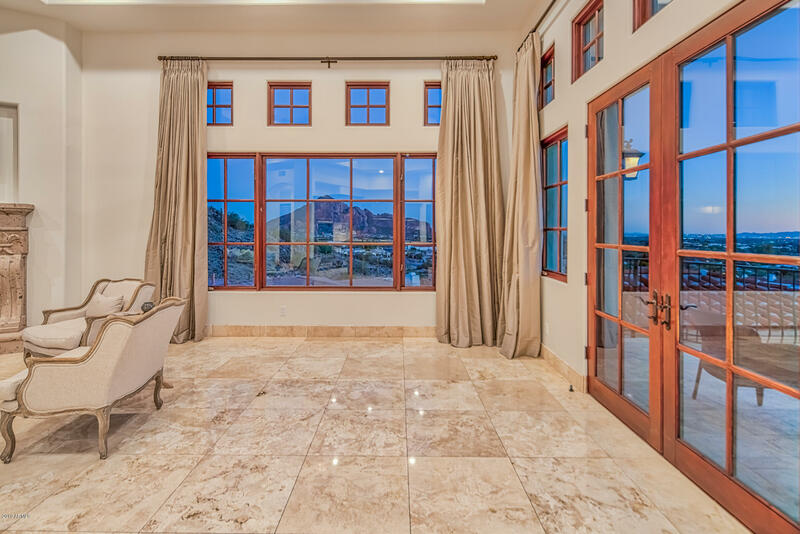 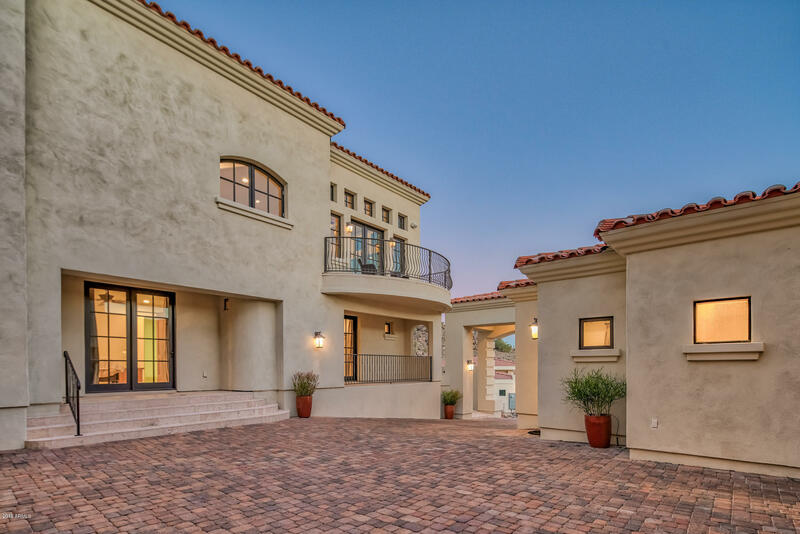 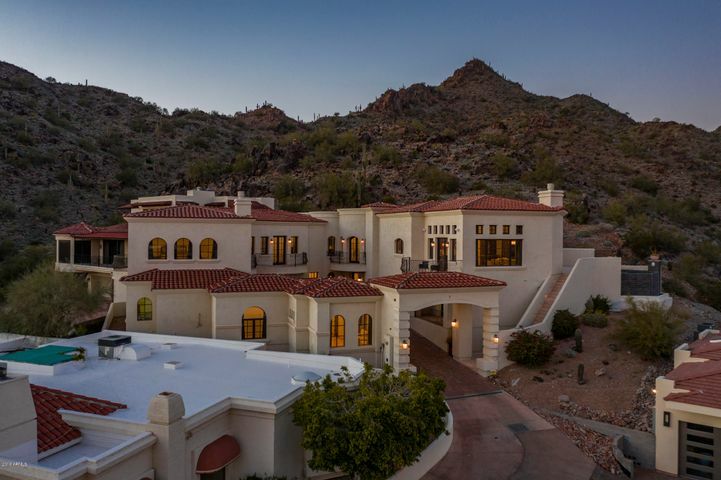 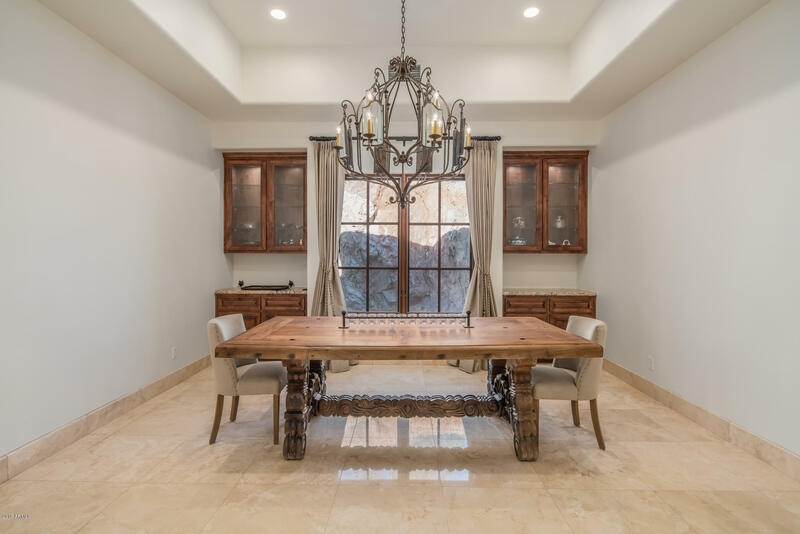 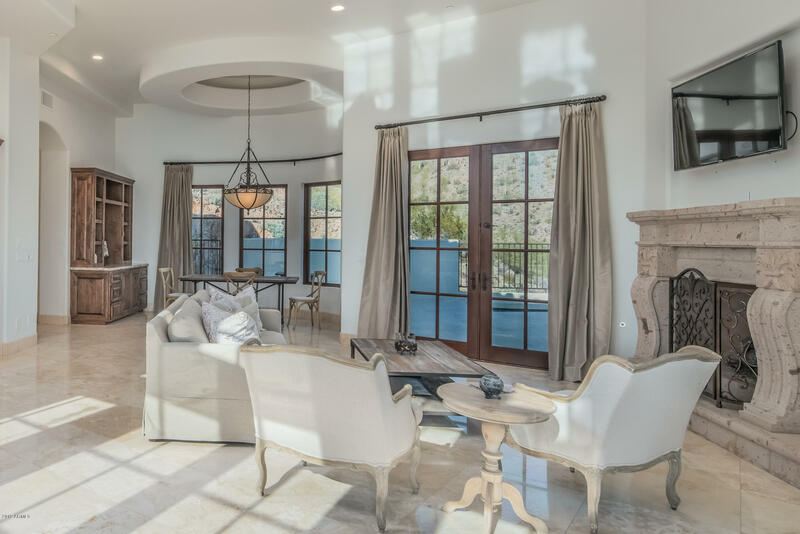 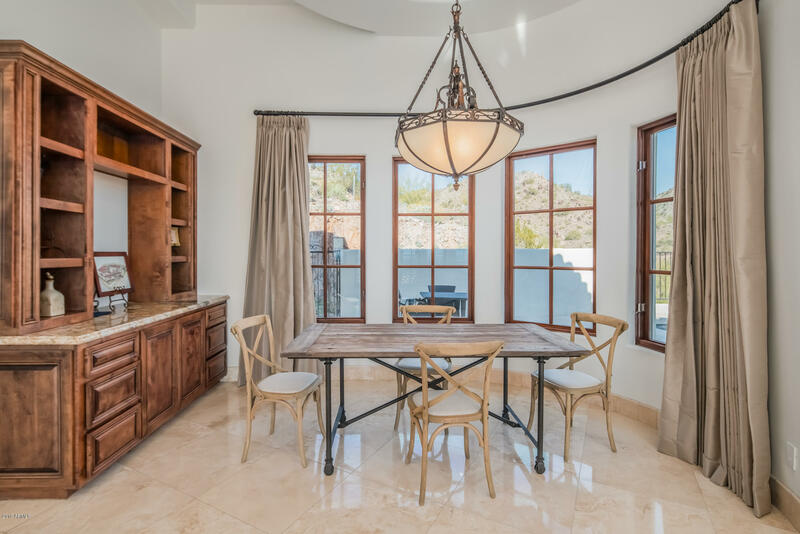 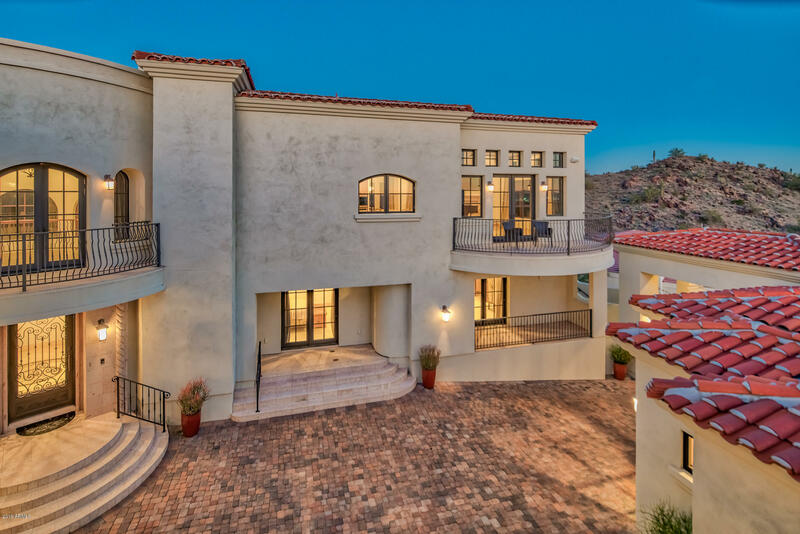 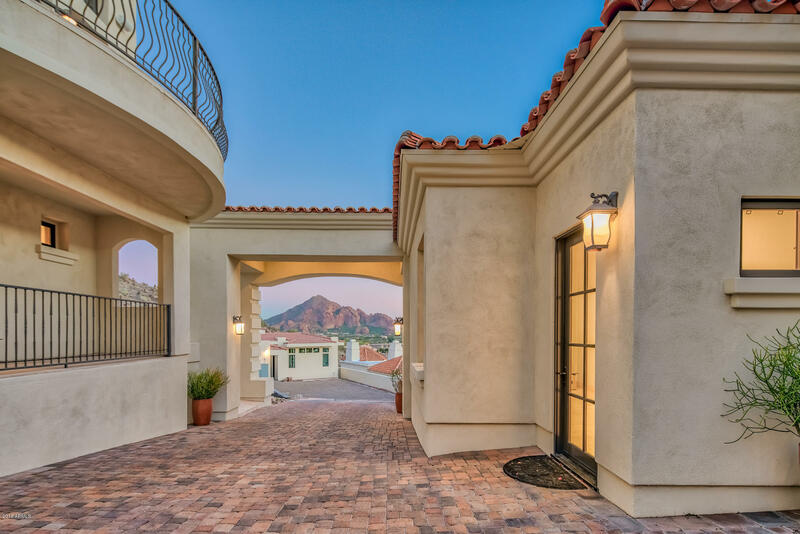 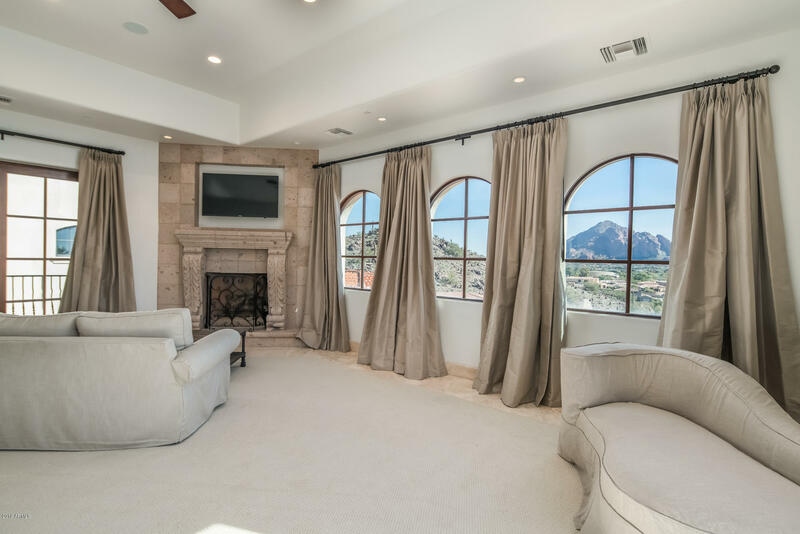 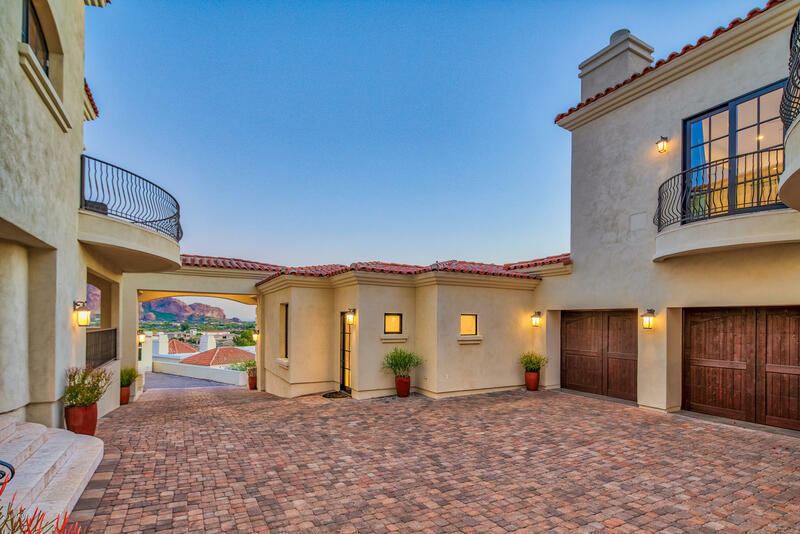 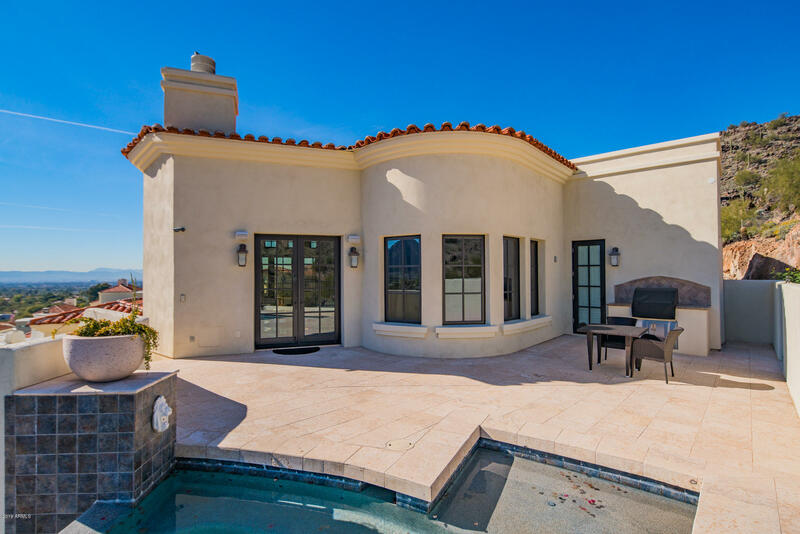 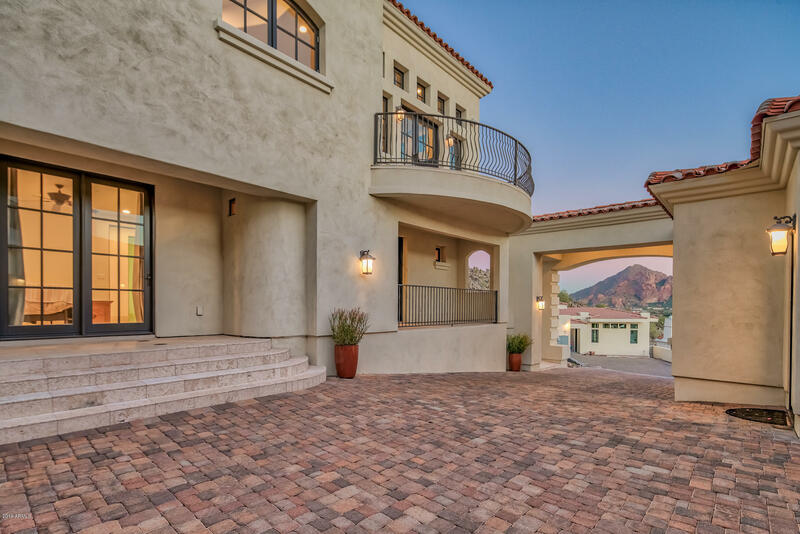 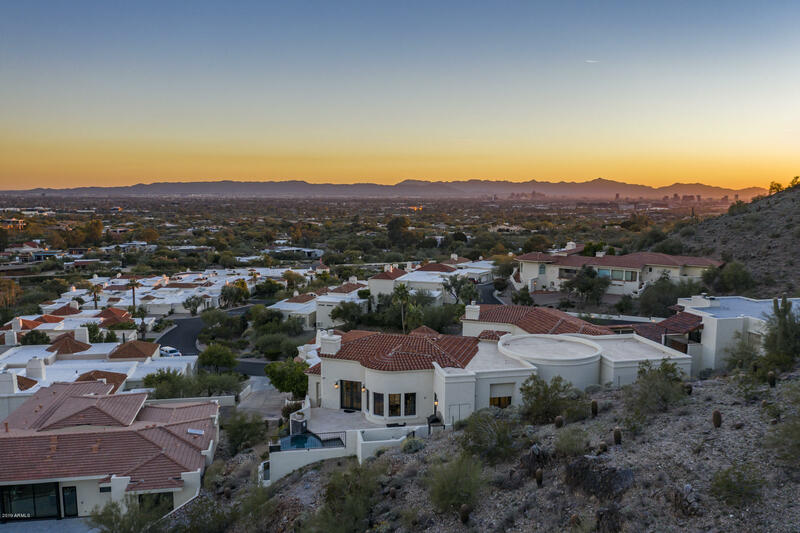 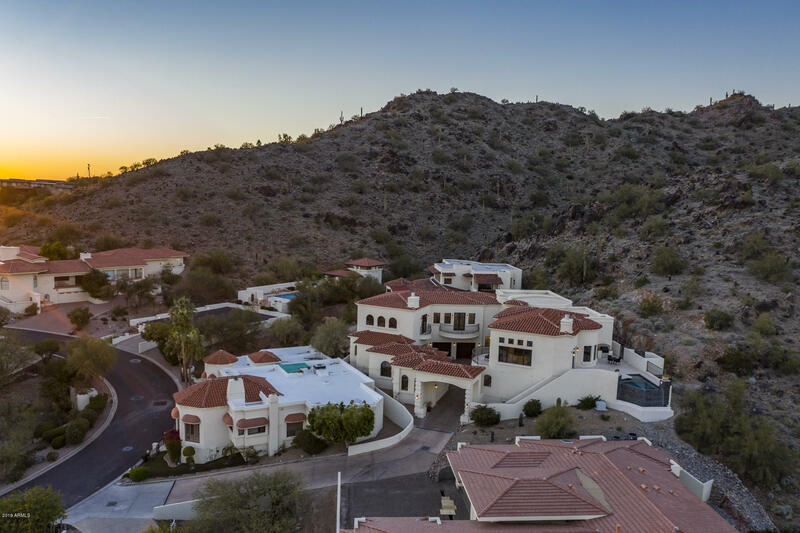 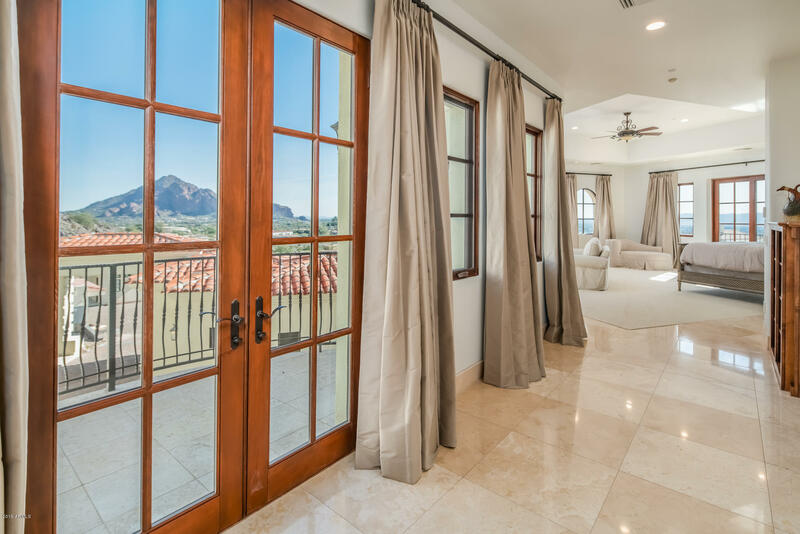 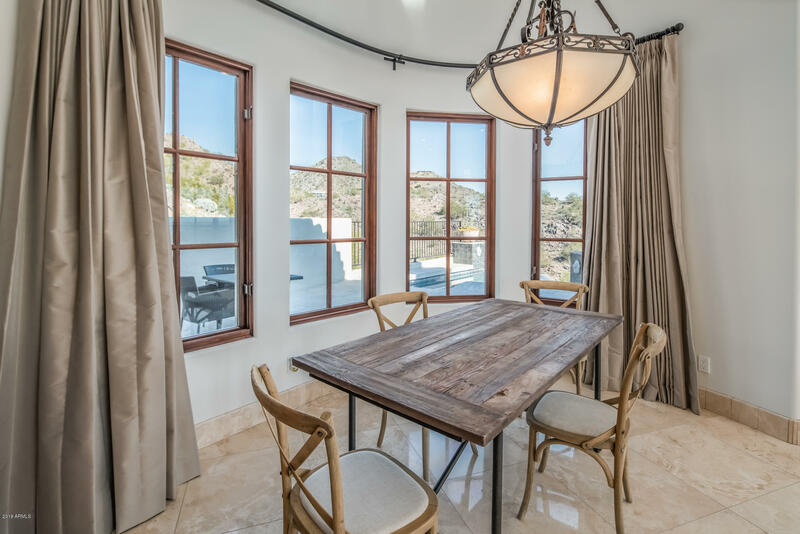 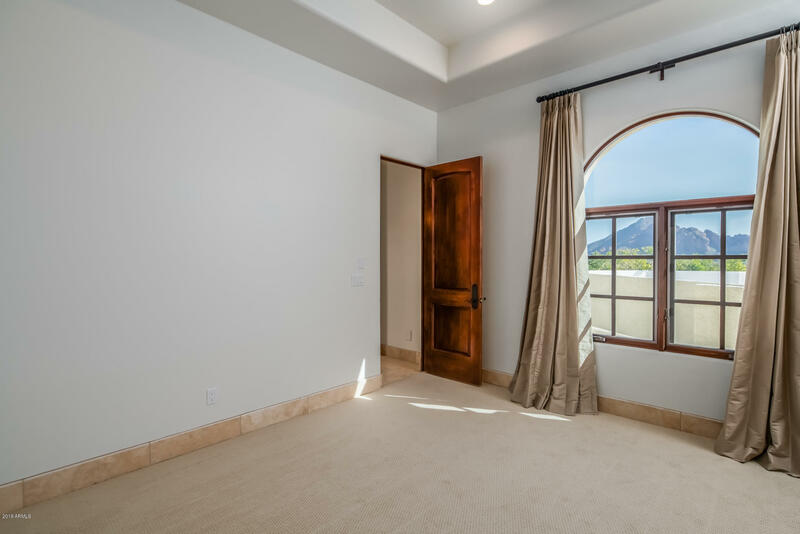 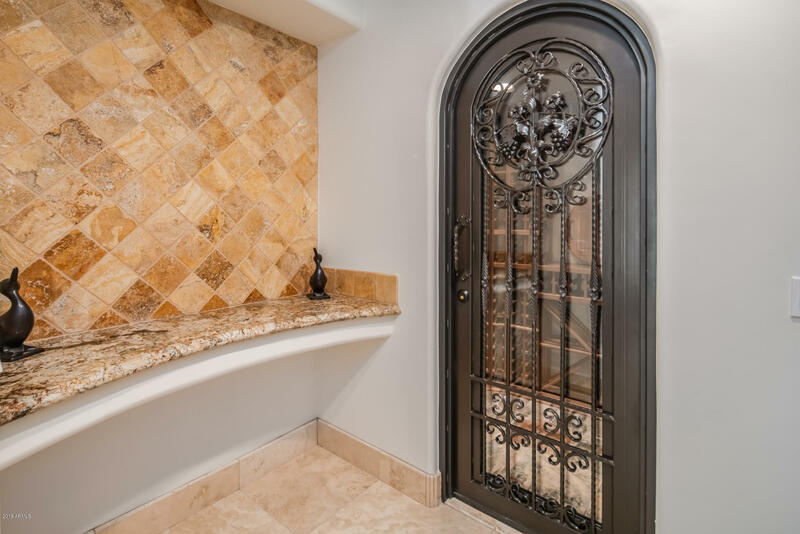 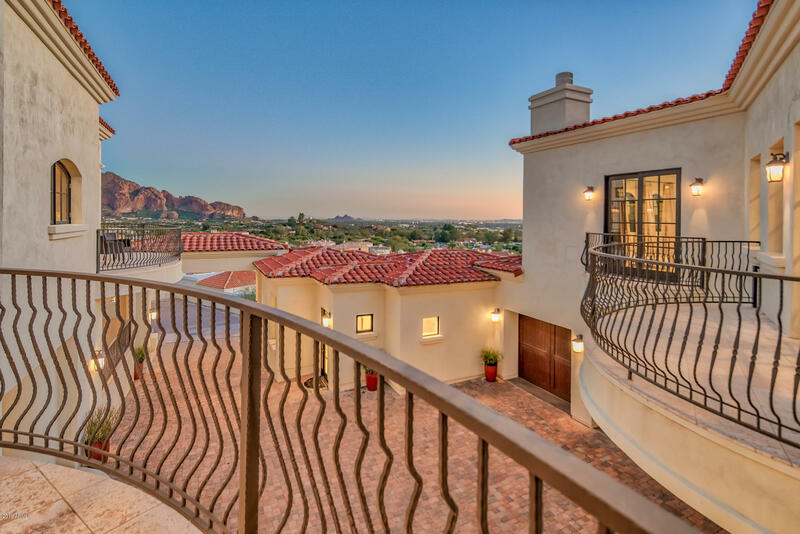 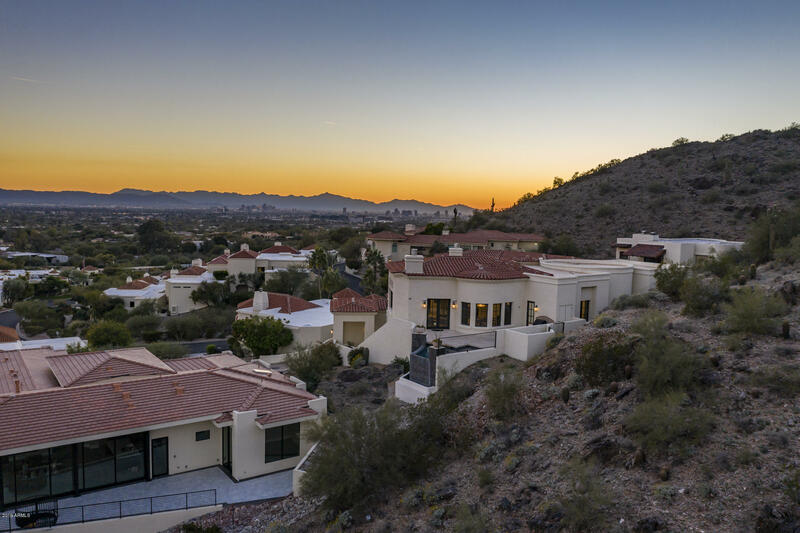 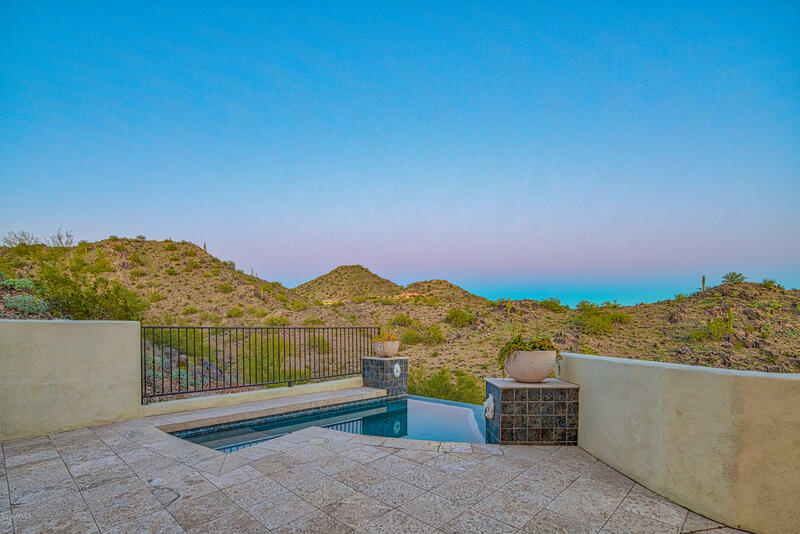 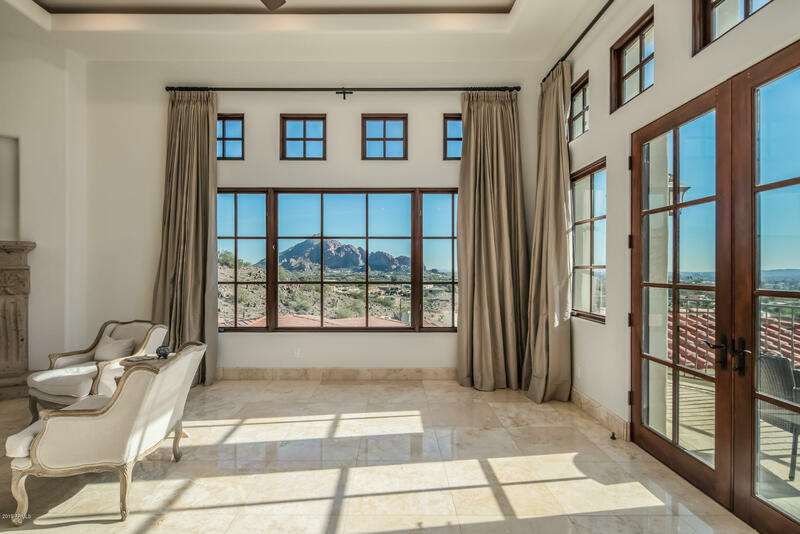 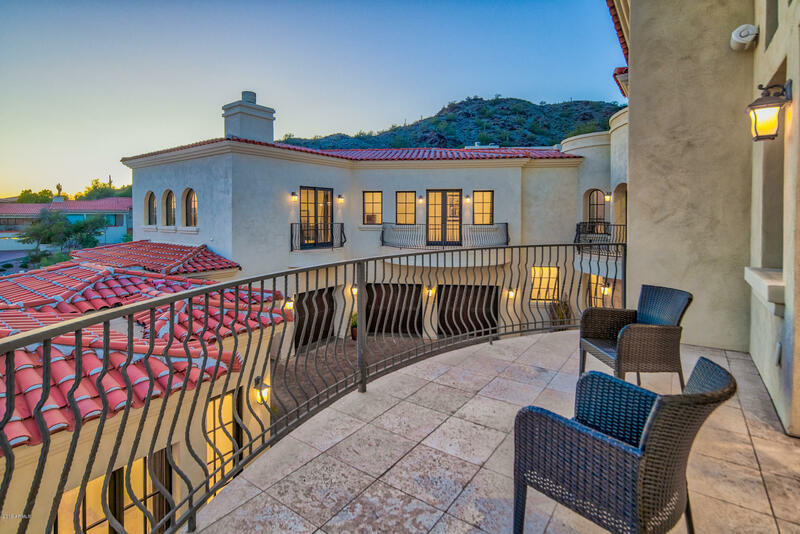 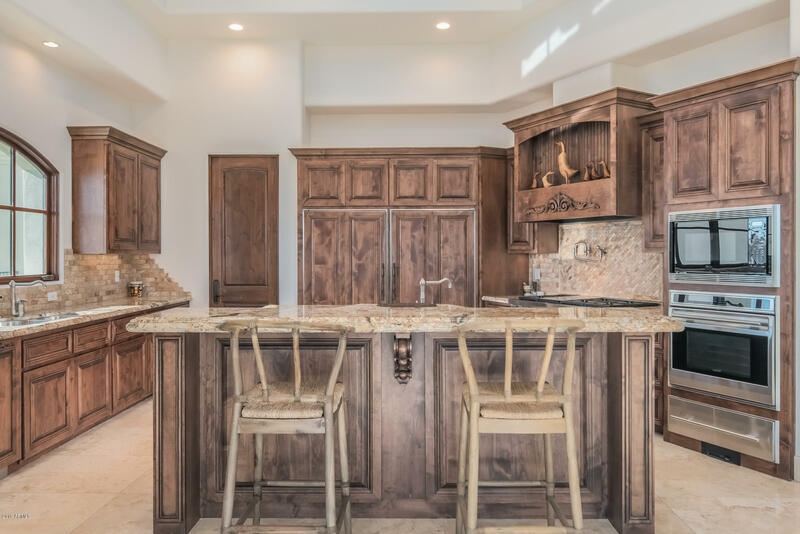 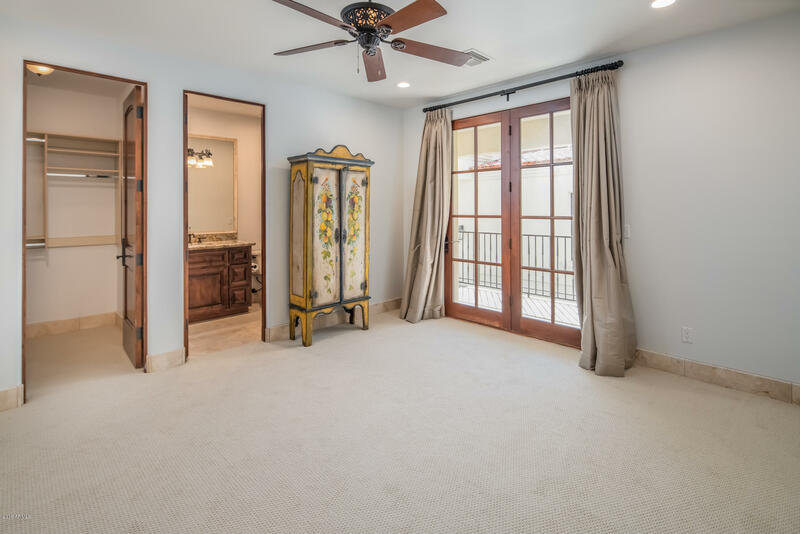 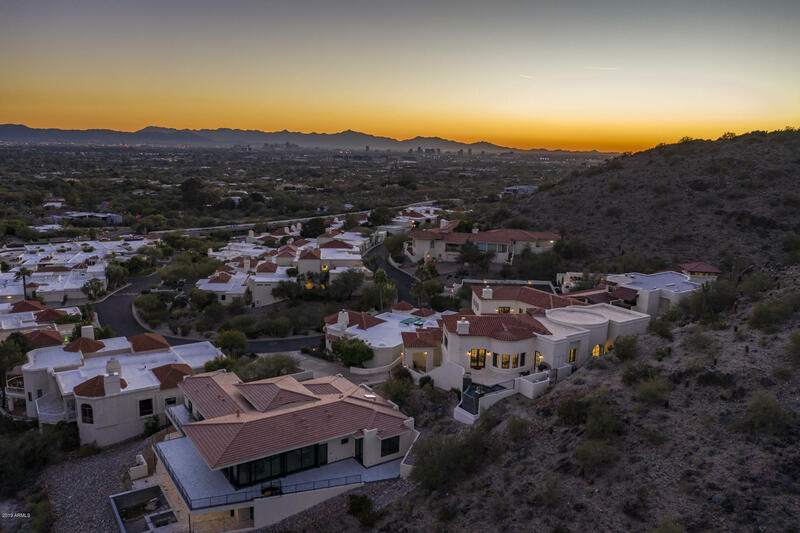 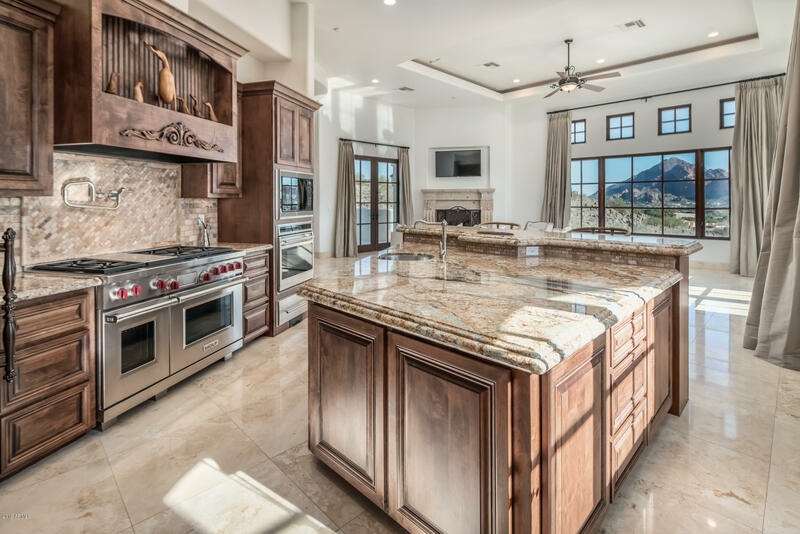 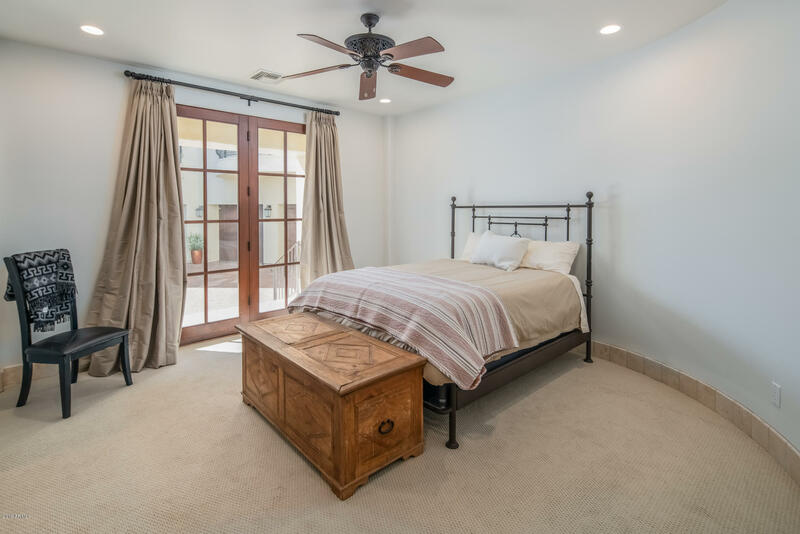 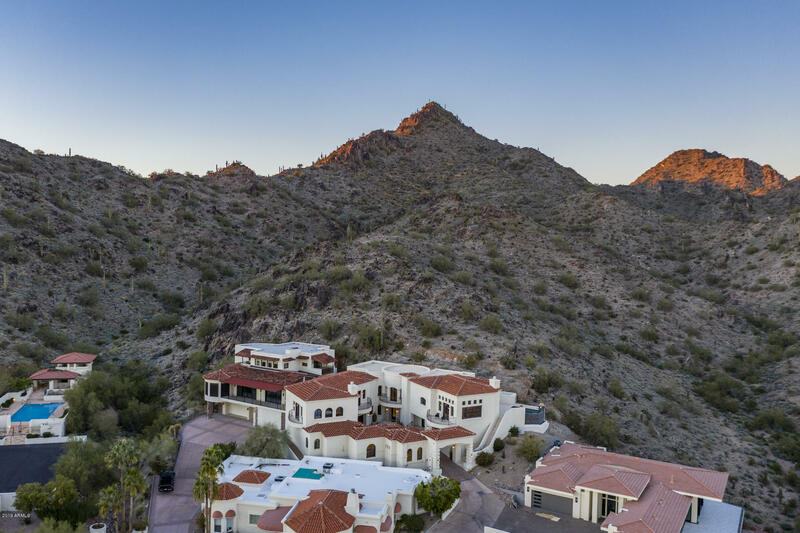 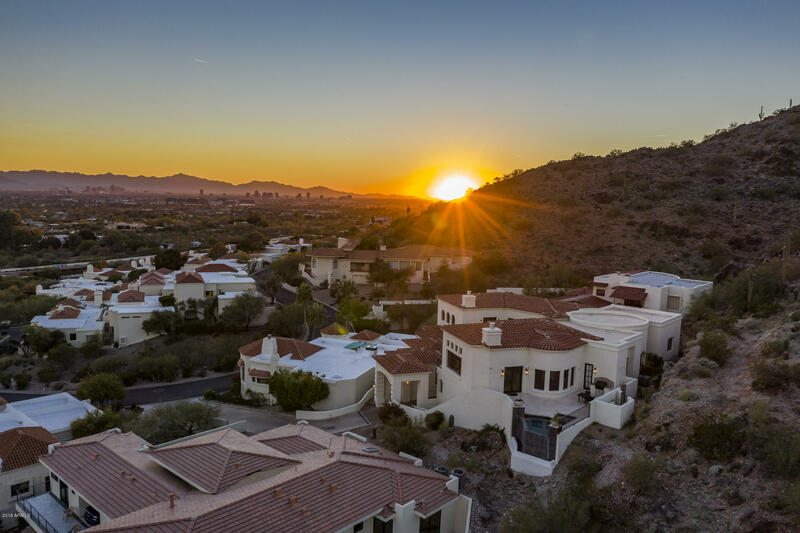 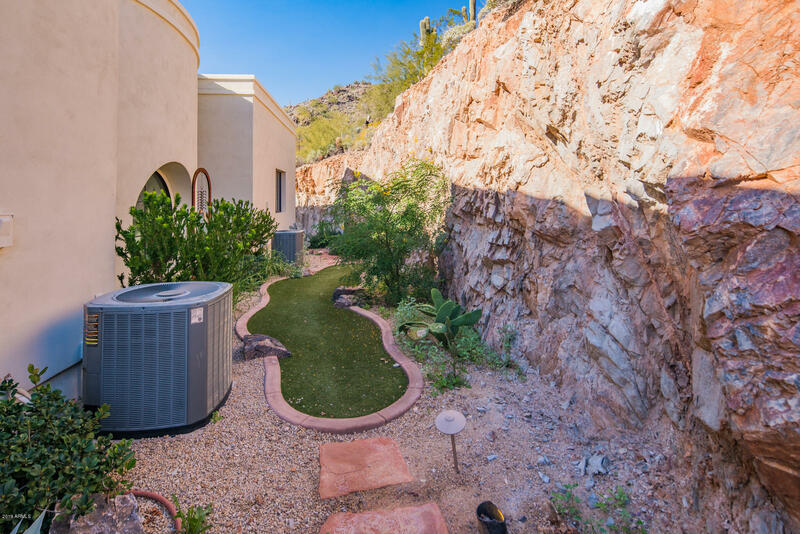 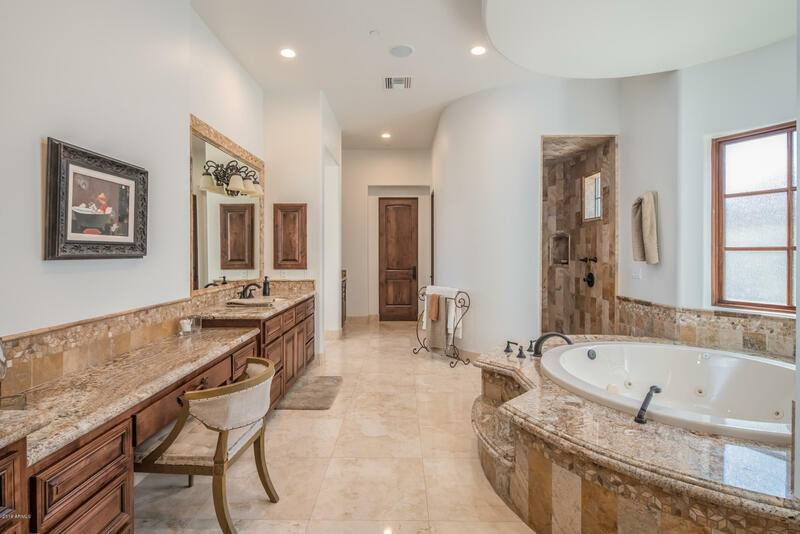 Exquisite, newly updated Tuscan/Santa Barbara style home nestled into the hillside along the Phoenix Mountain Preserve with unparalleled mountain views and guard gated privacy. 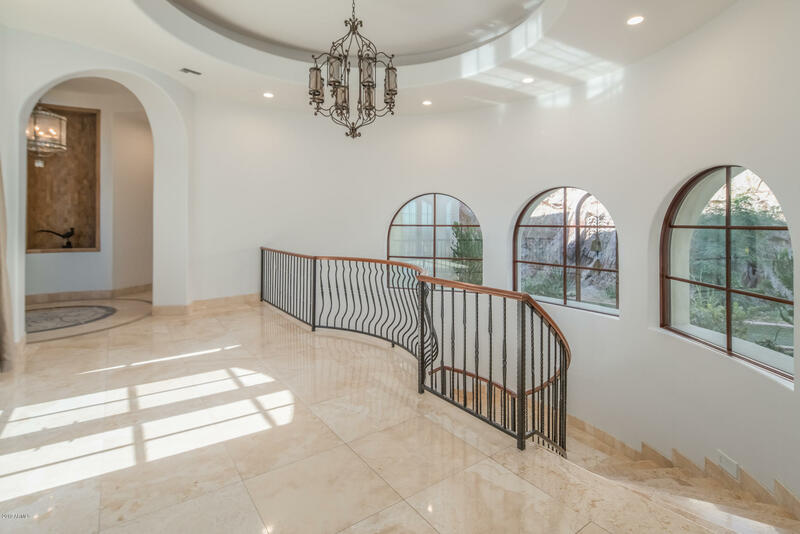 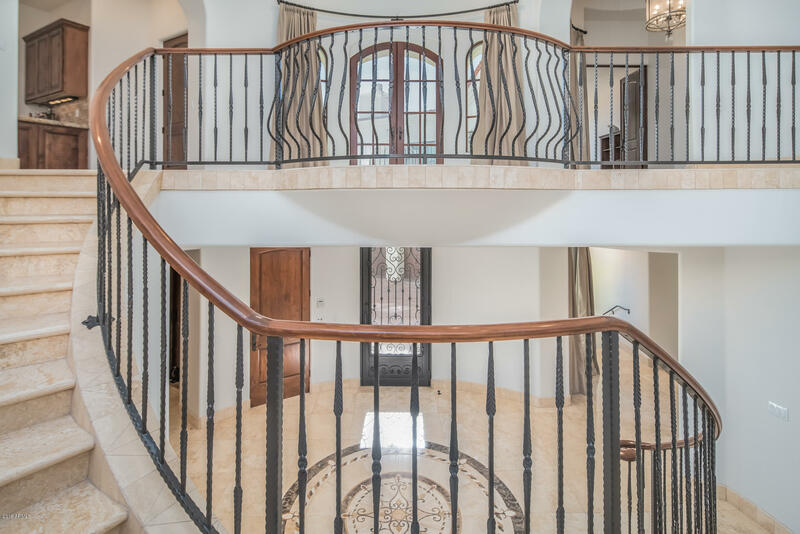 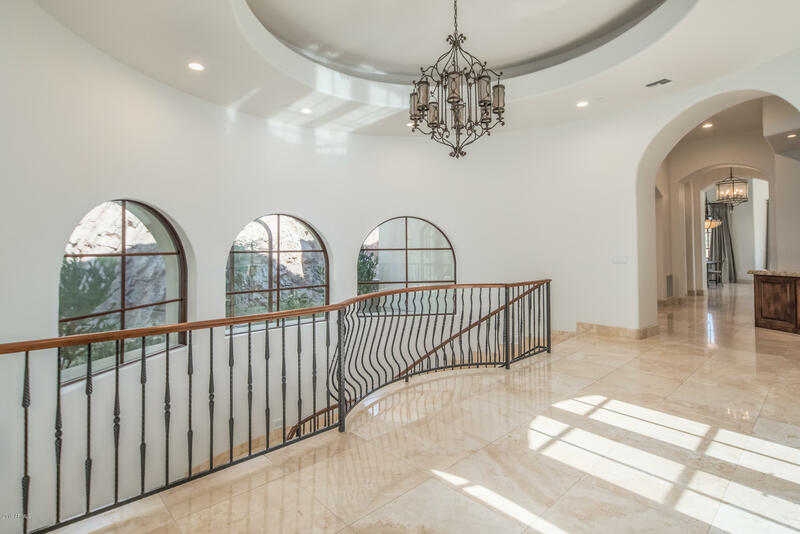 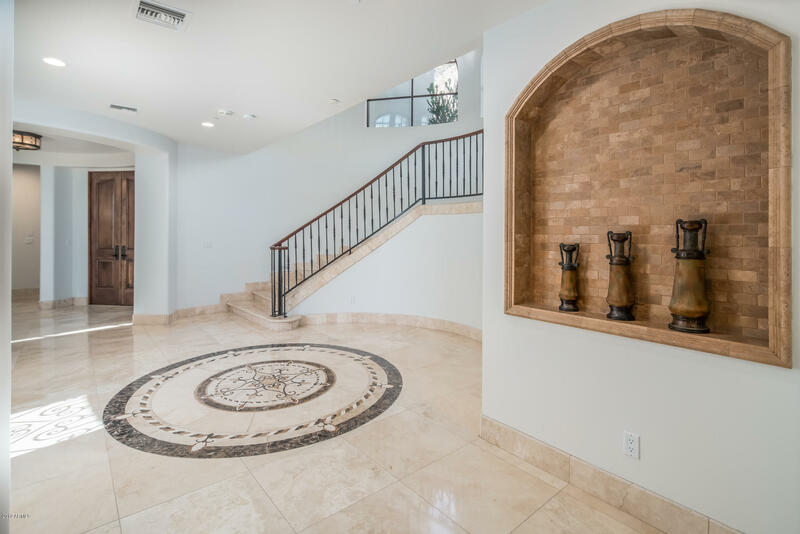 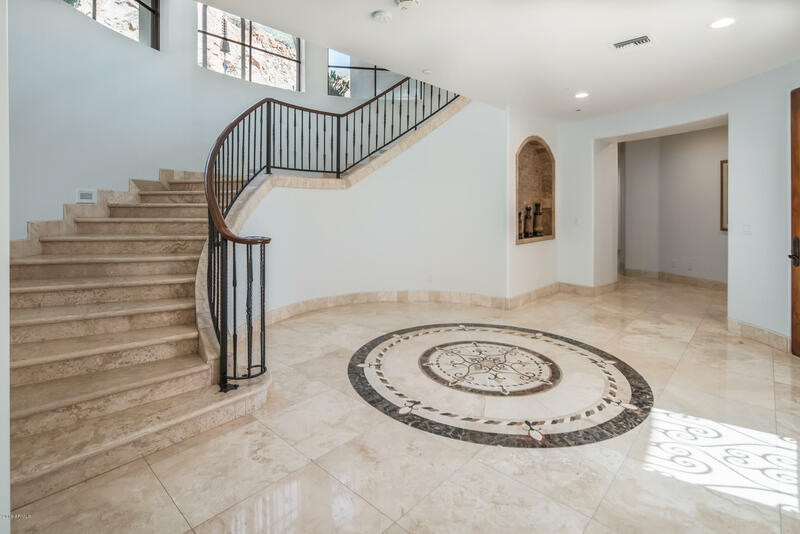 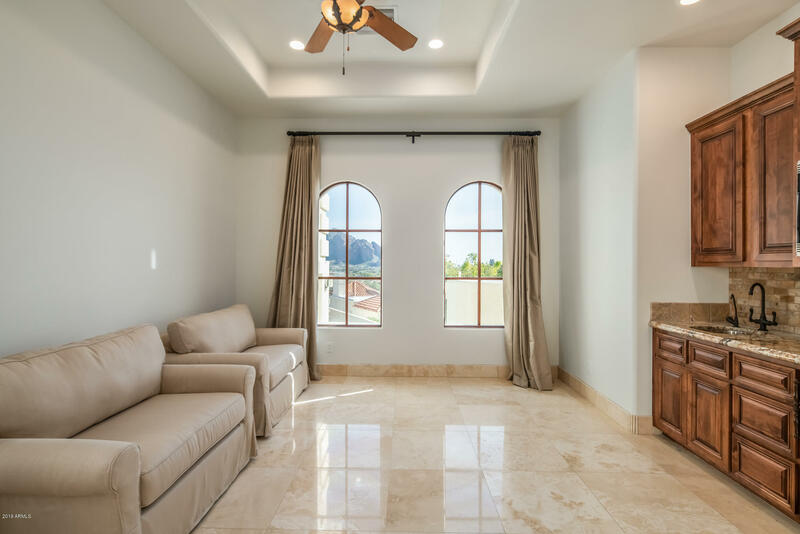 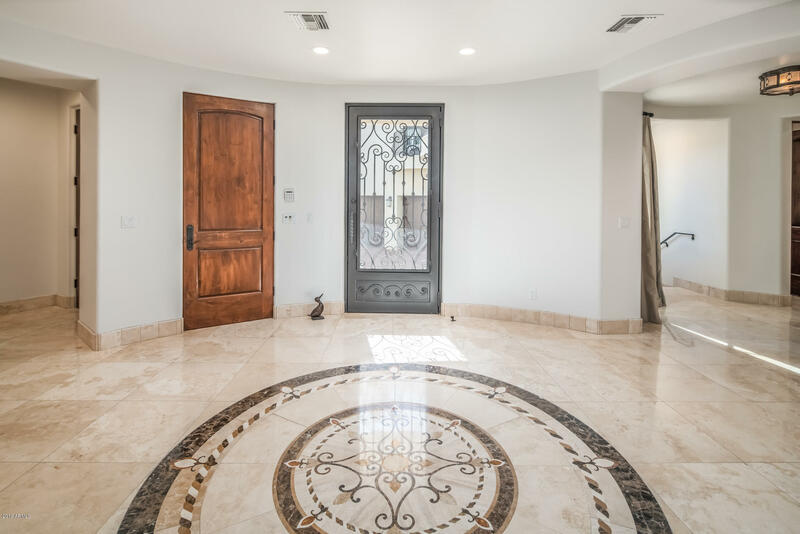 Upon entering the residence from the private 4 car auto court you are greeted with soaring ceilings, ornate iron work, and grand circular marble staircase. 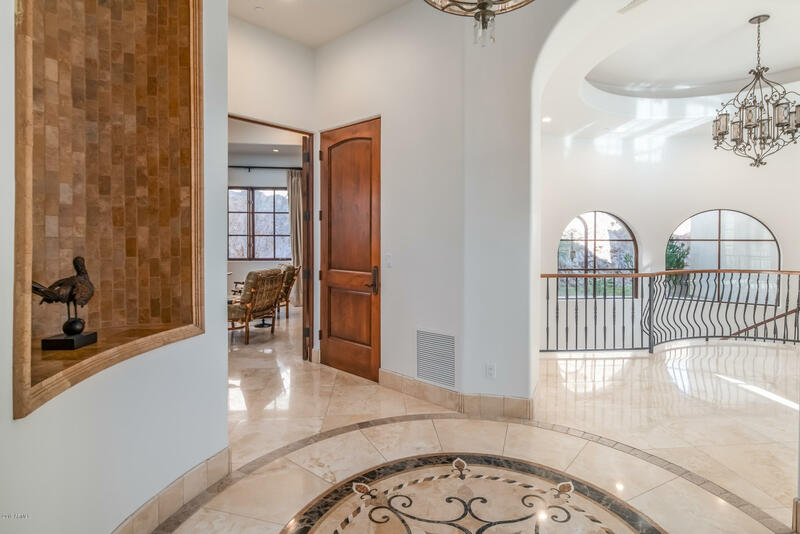 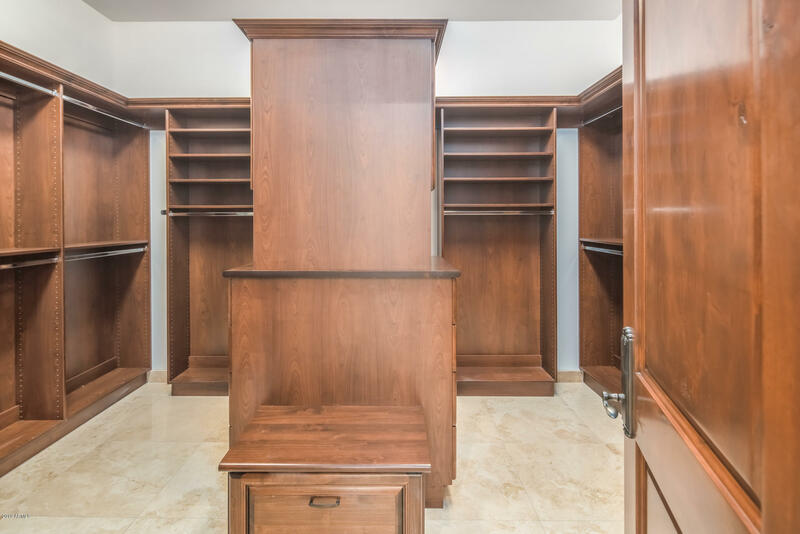 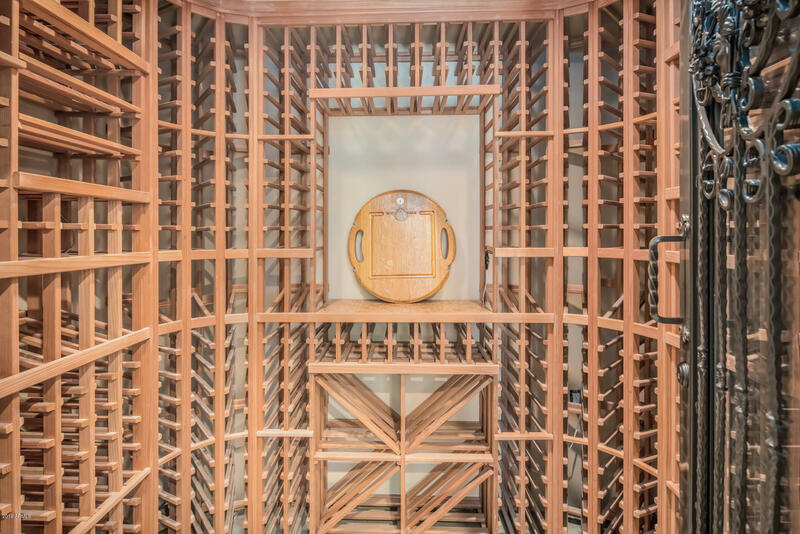 This residence offers every amenity for today's luxury home buyer including: private pool, home theater, wine cellar, Viking Appliances, expansive walk in closets, private masters quarters, elevator, detached 654 sf Guest house, private tennis courts. 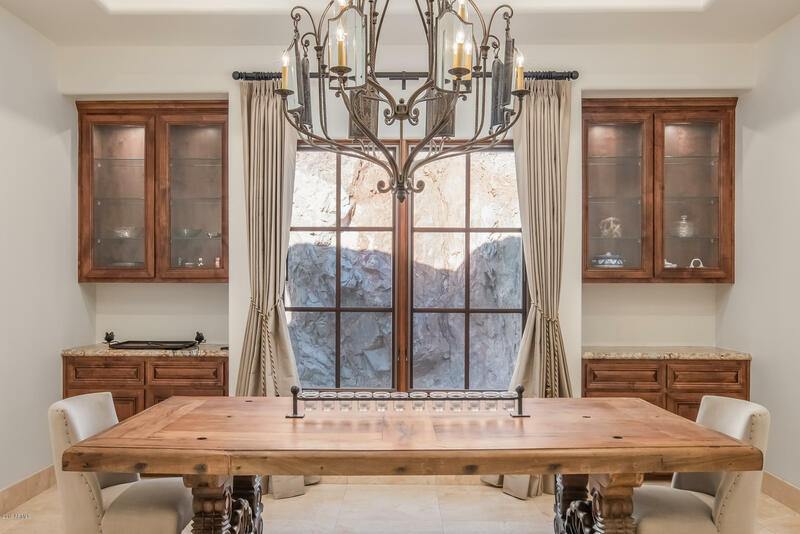 Effortlessly blending old world elegance with light and bright Tuscan charm, this estate is prefect for family gatherings or grand scale entertaining. 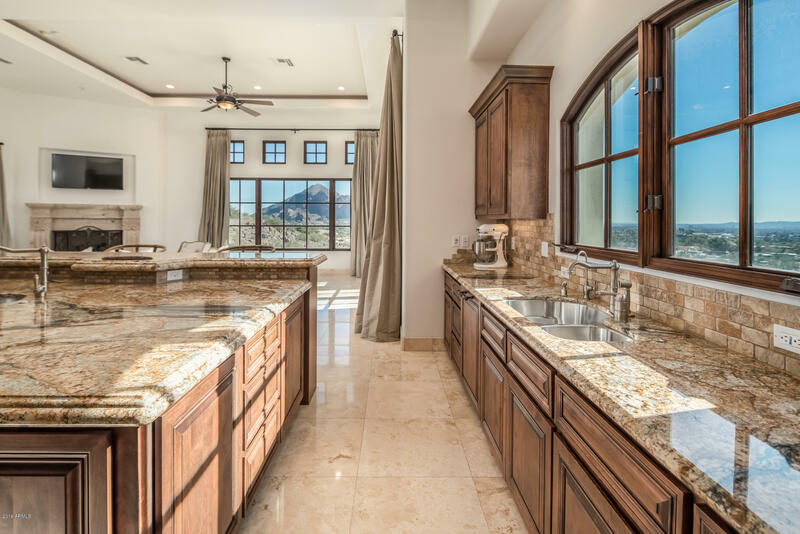 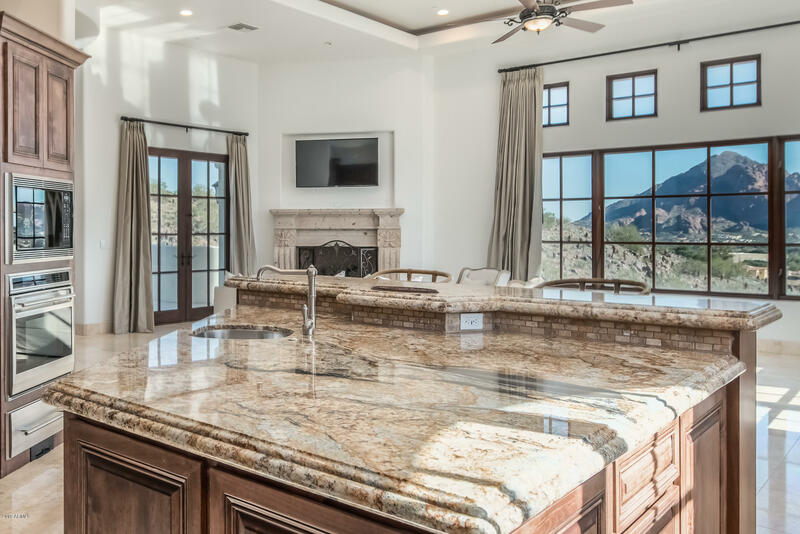 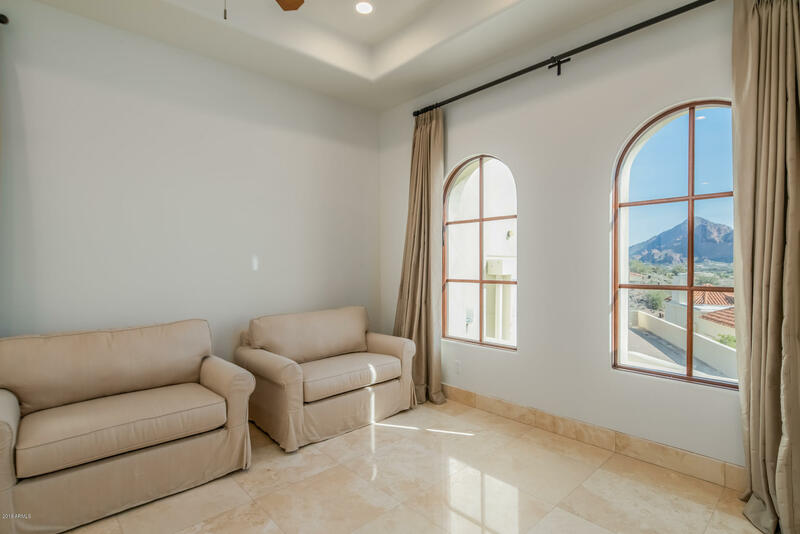 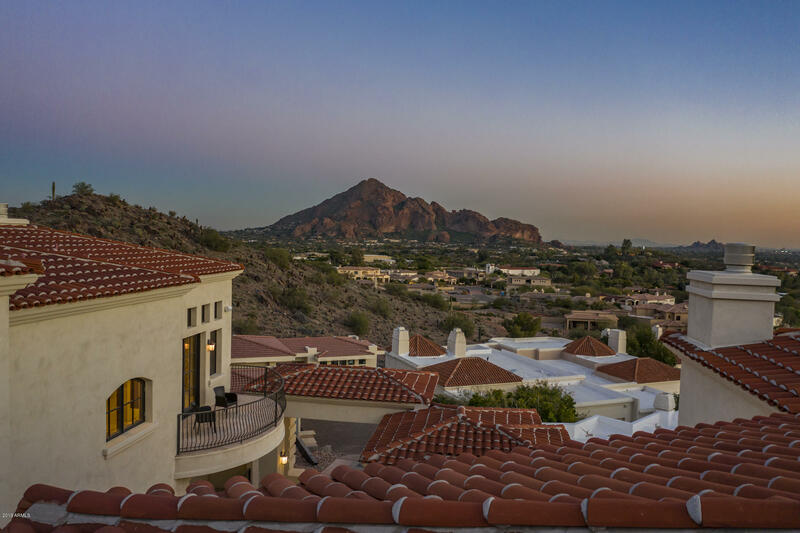 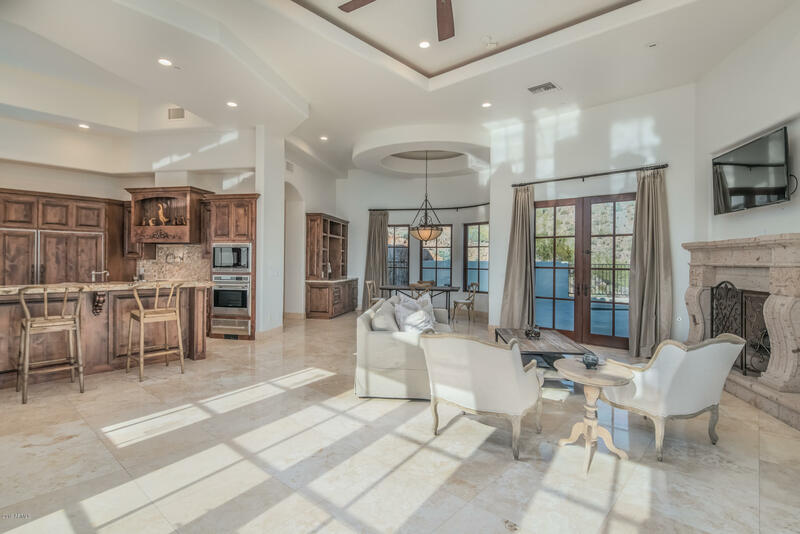 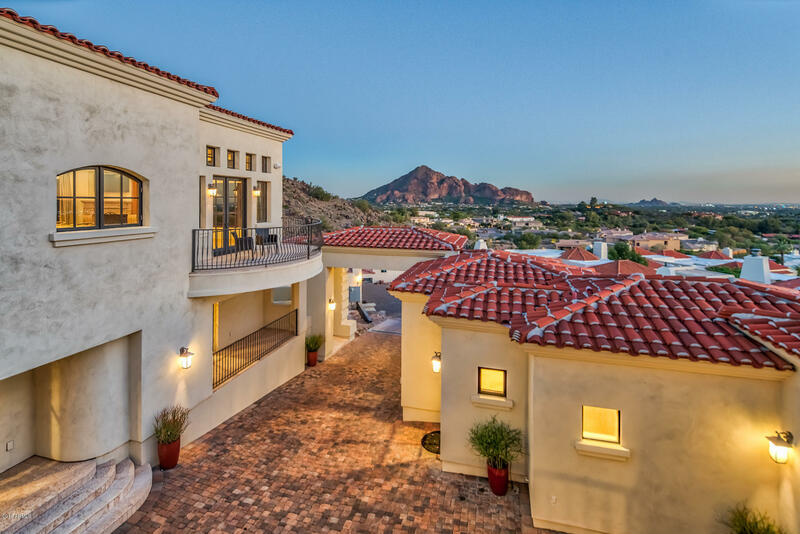 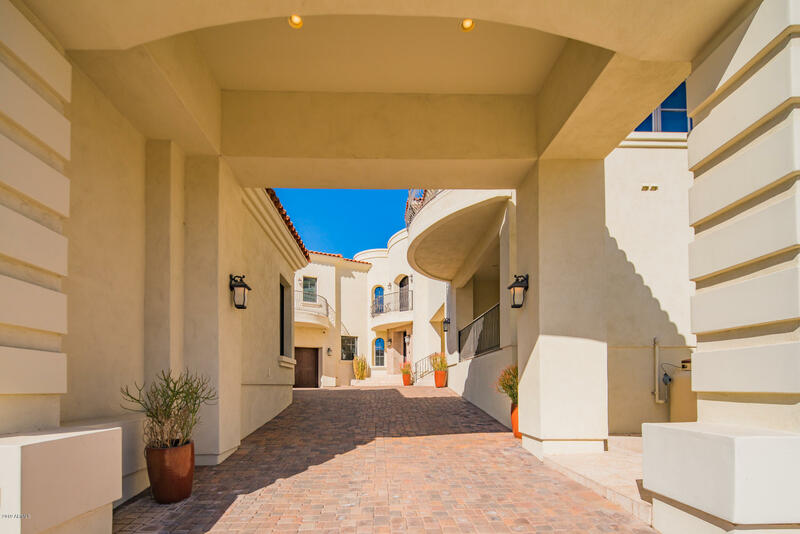 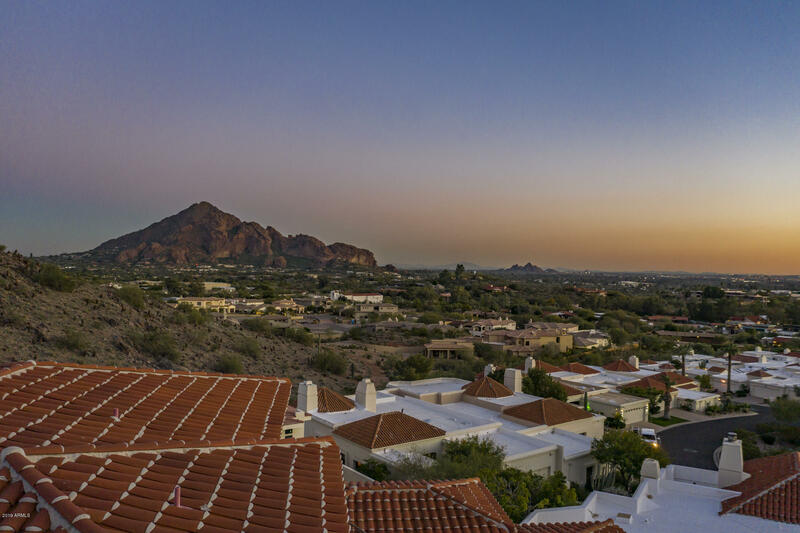 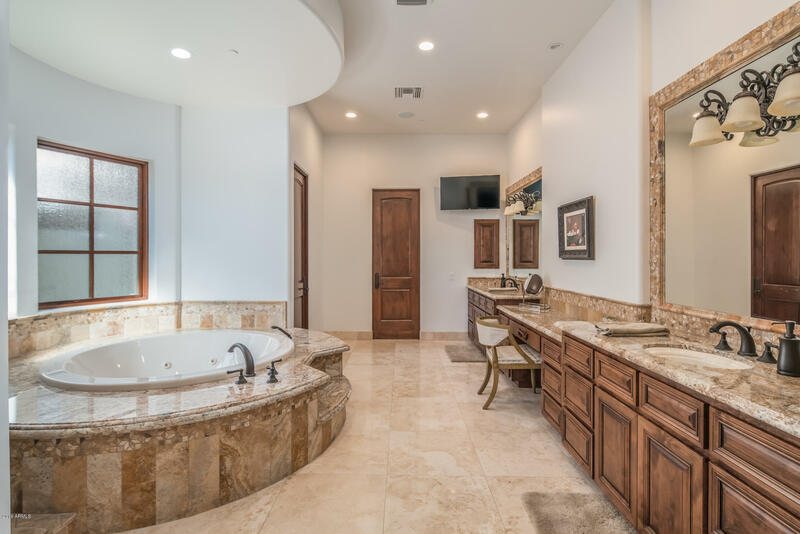 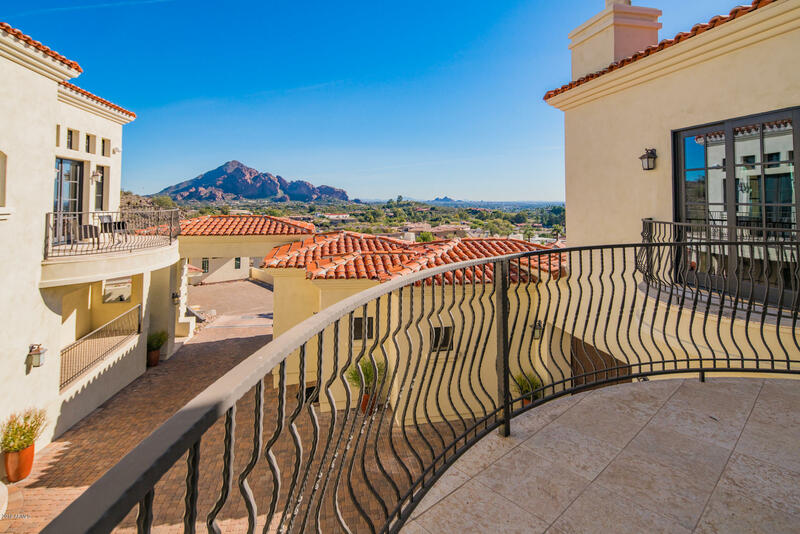 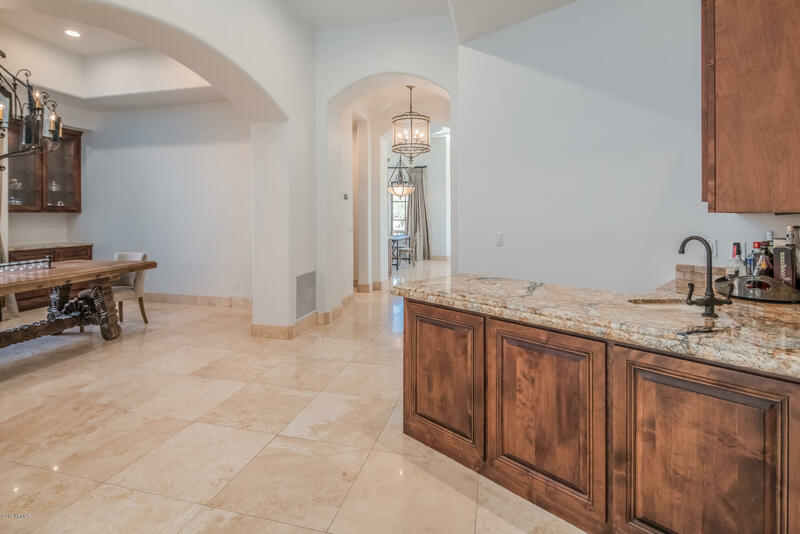 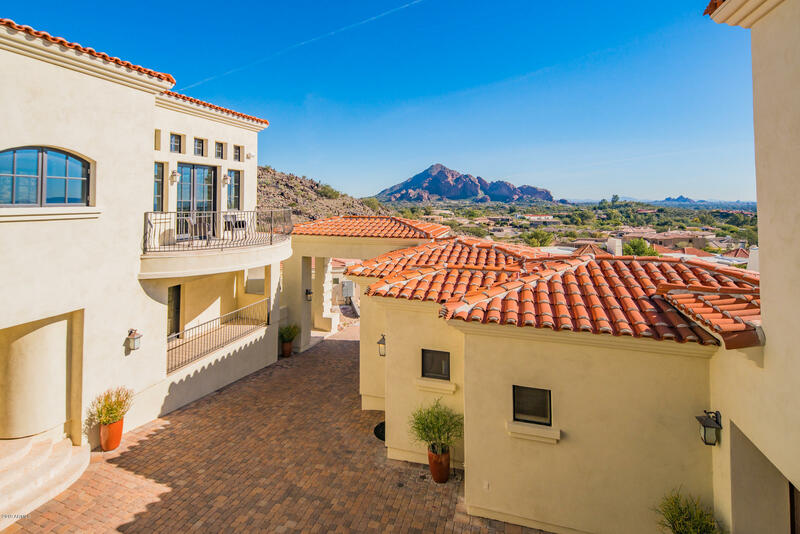 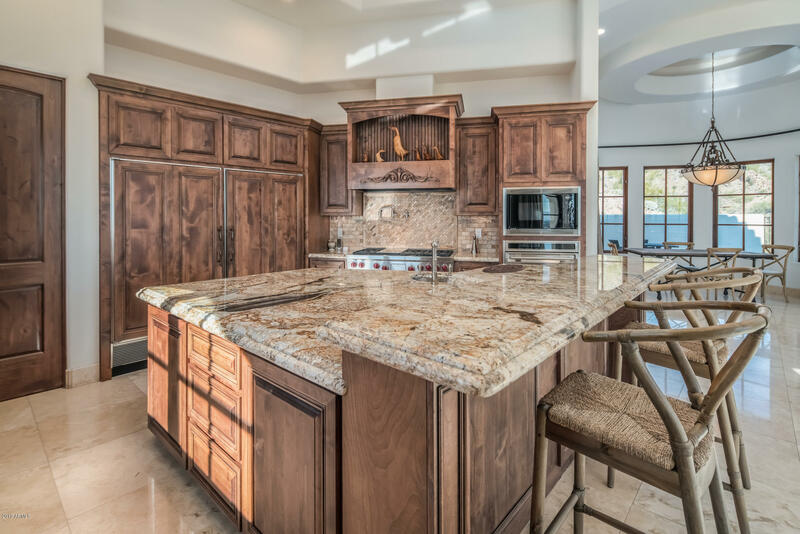 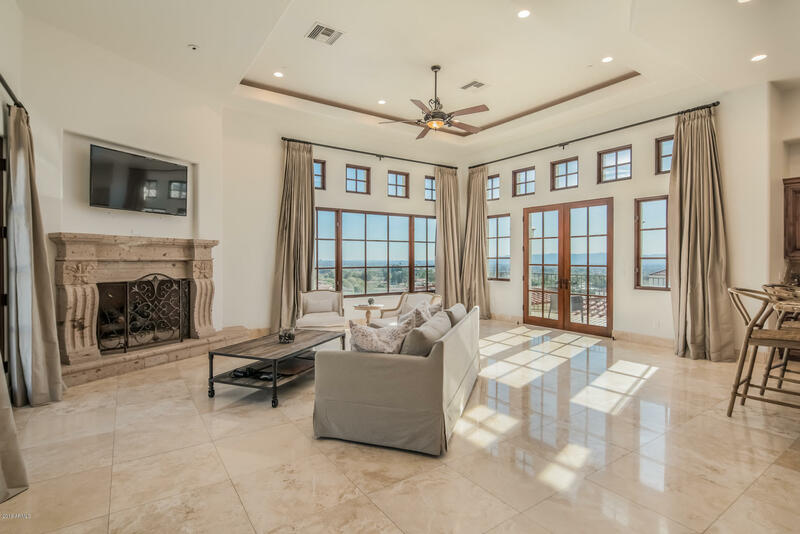 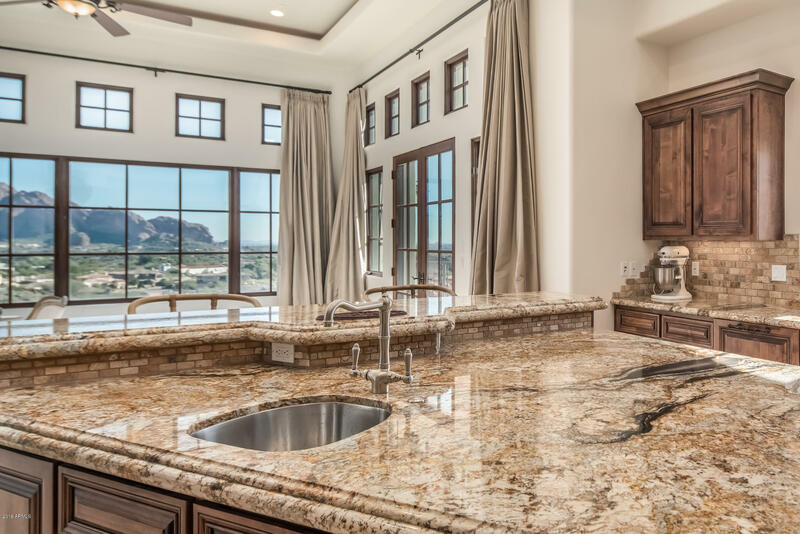 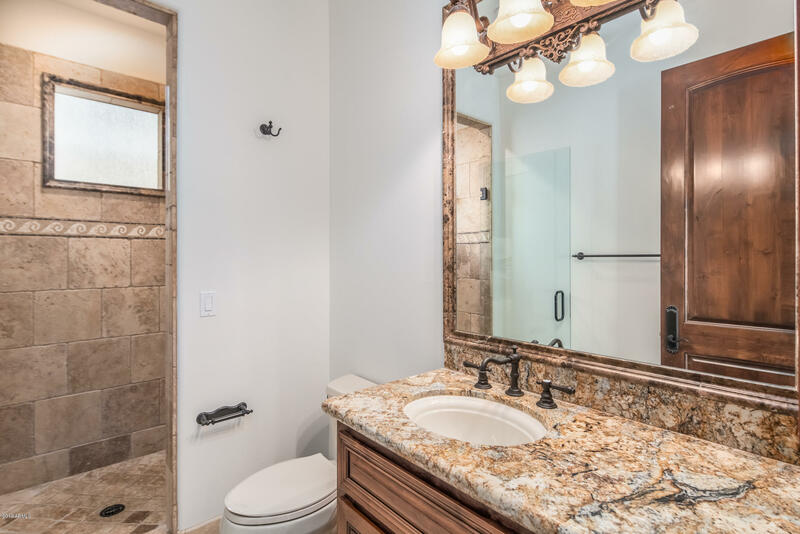 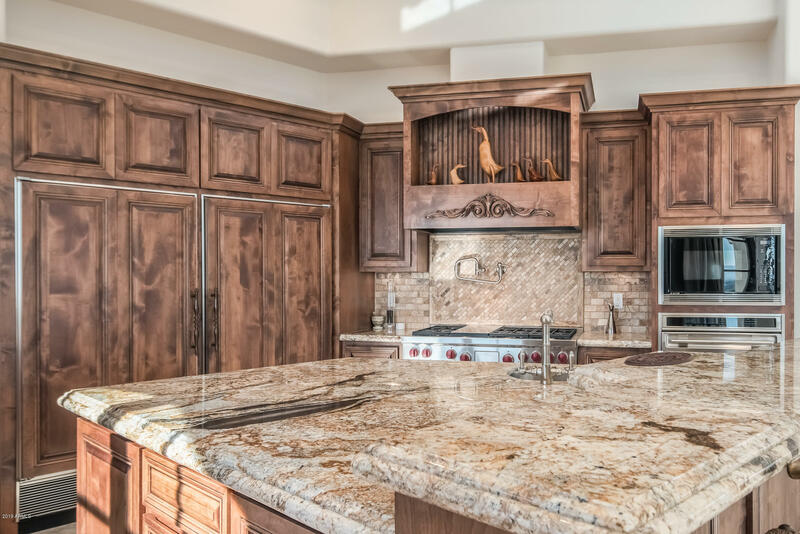 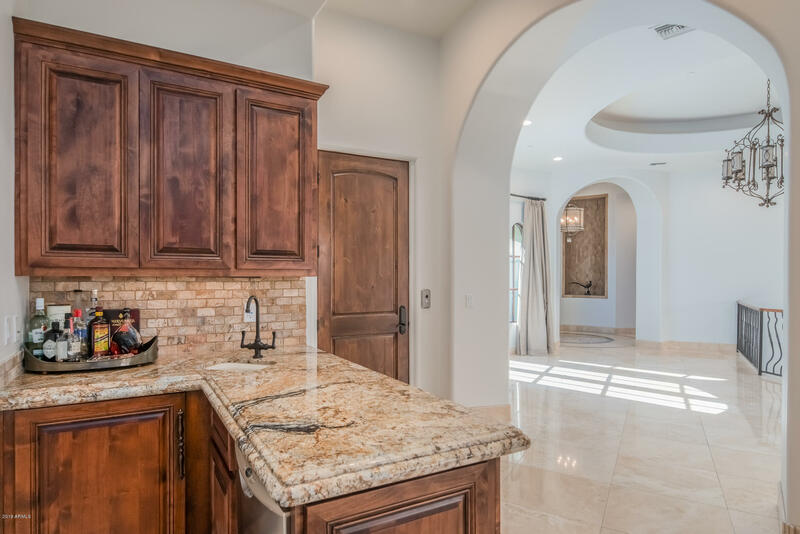 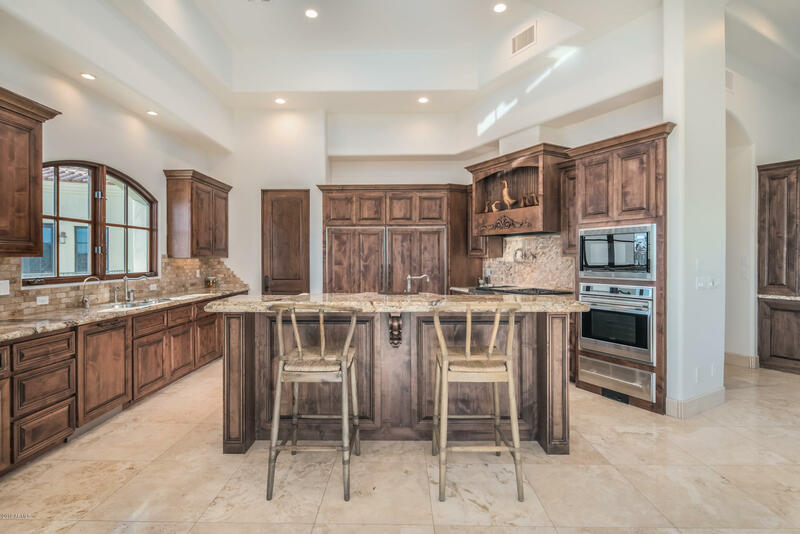 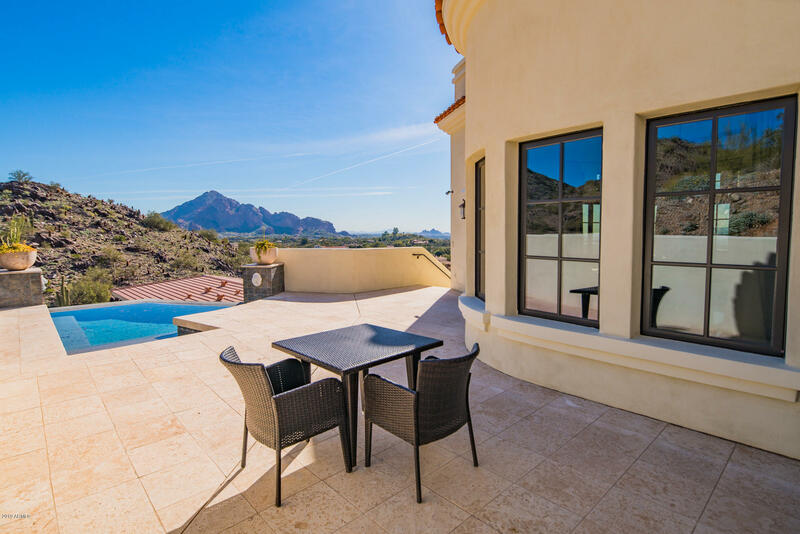 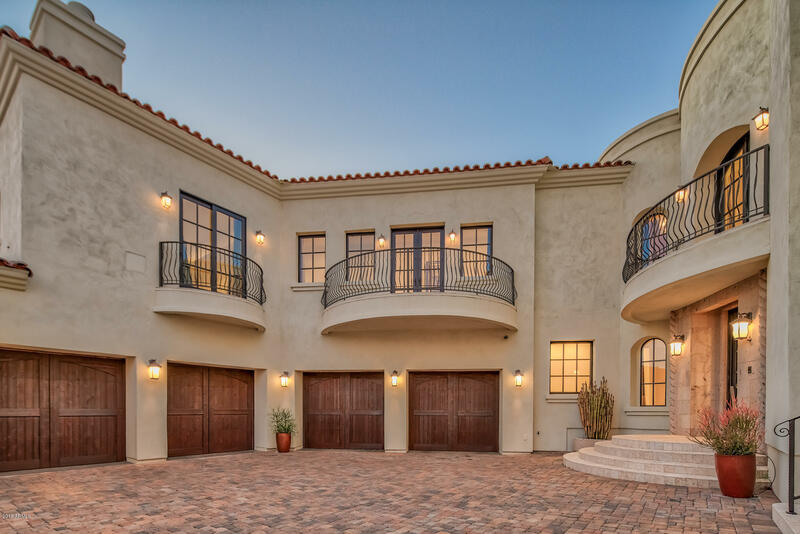 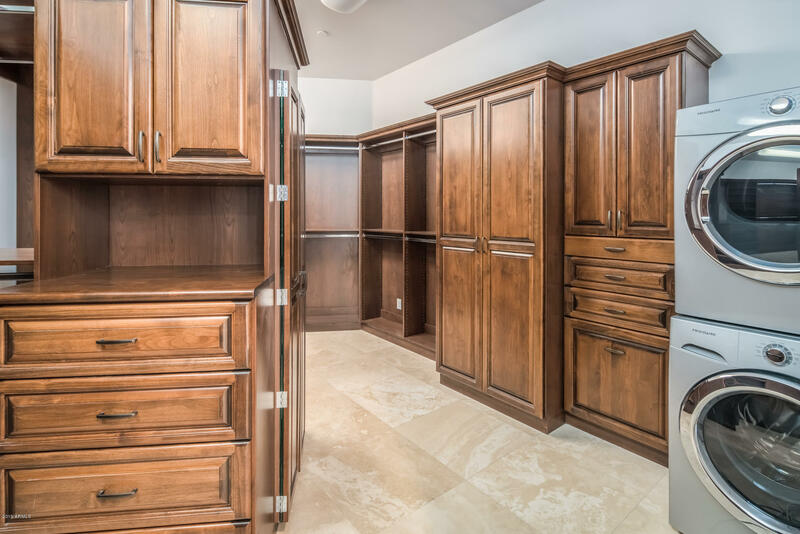 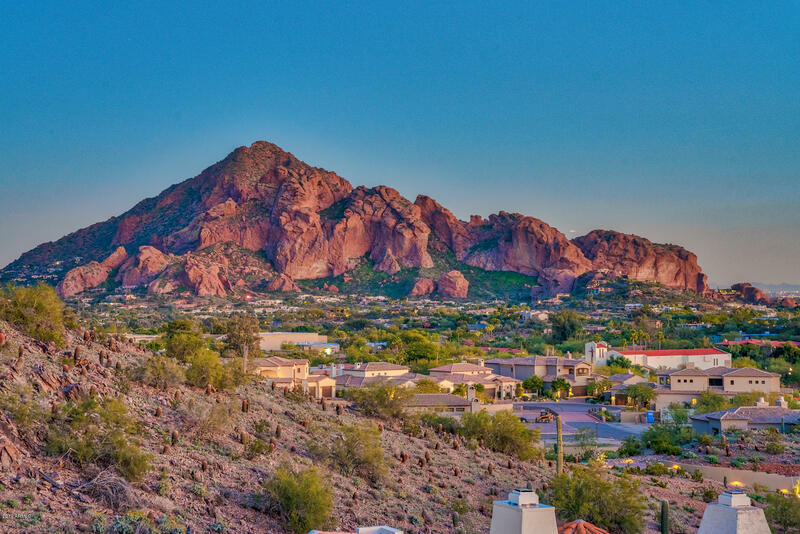 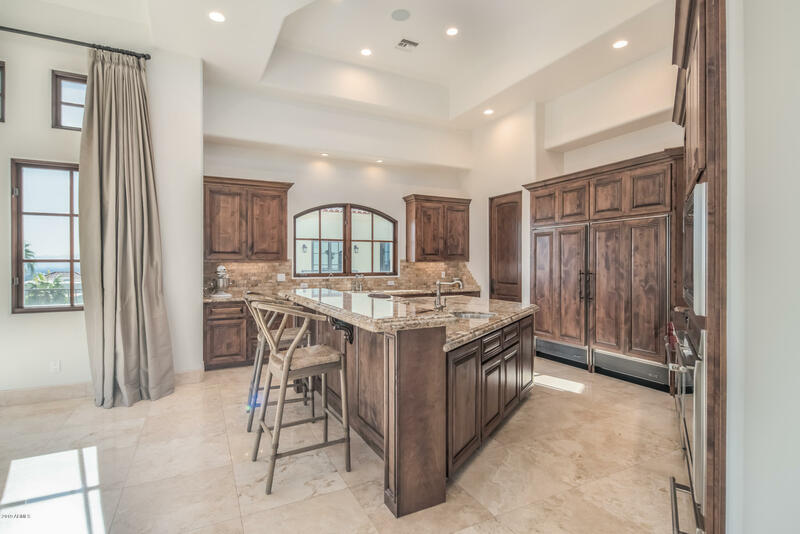 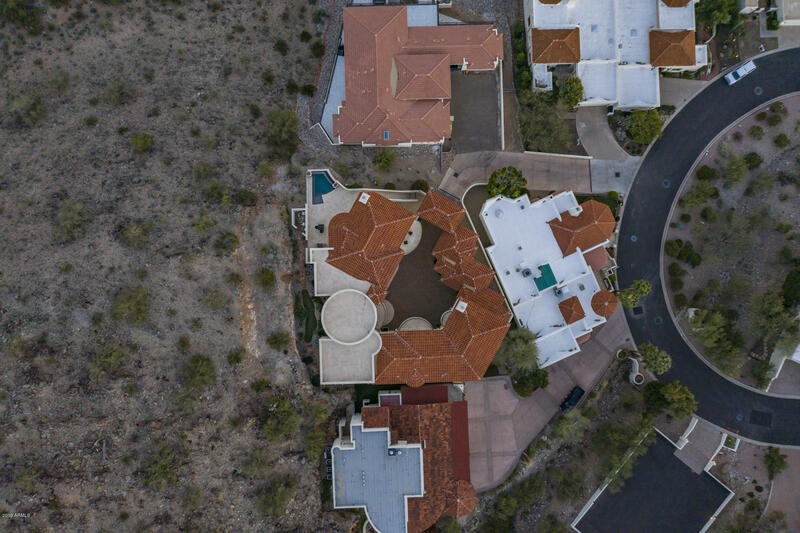 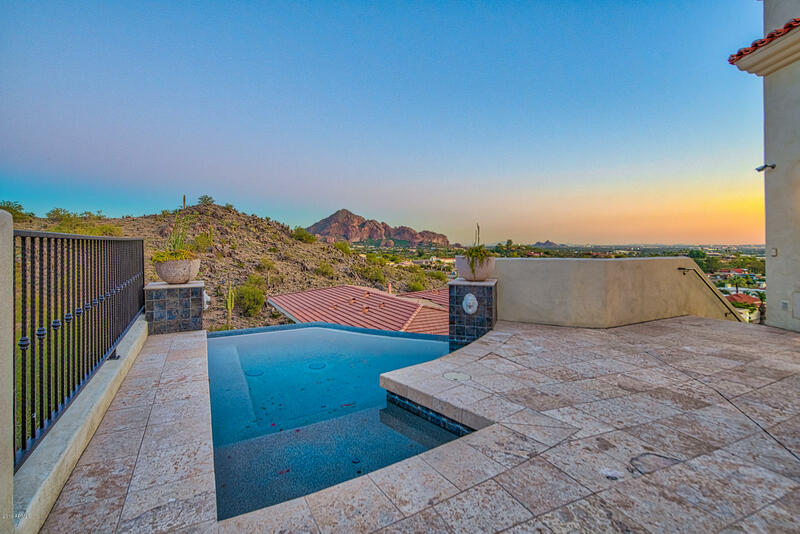 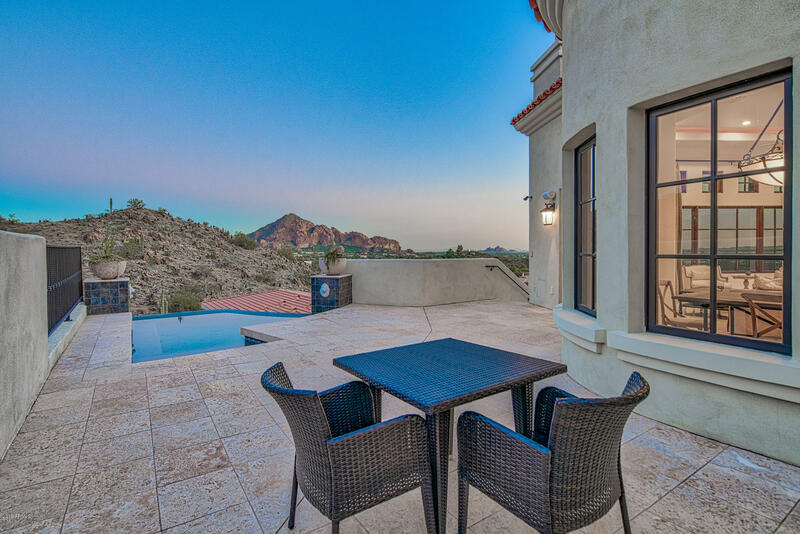 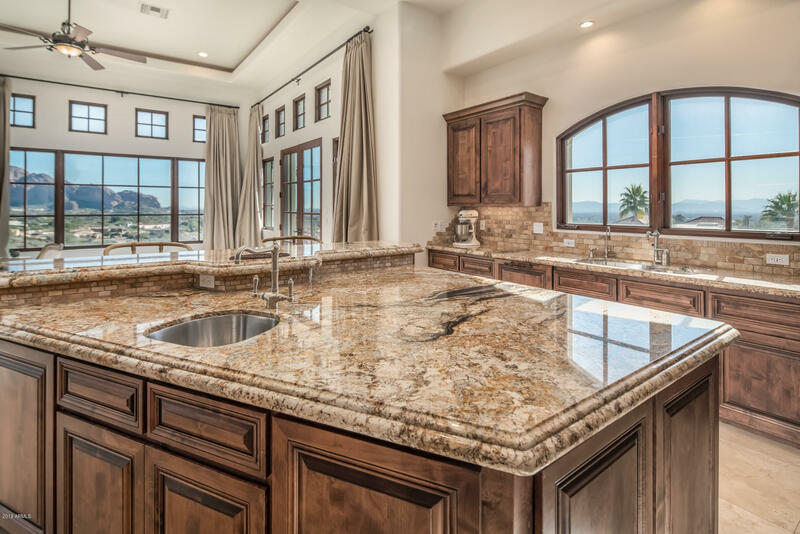 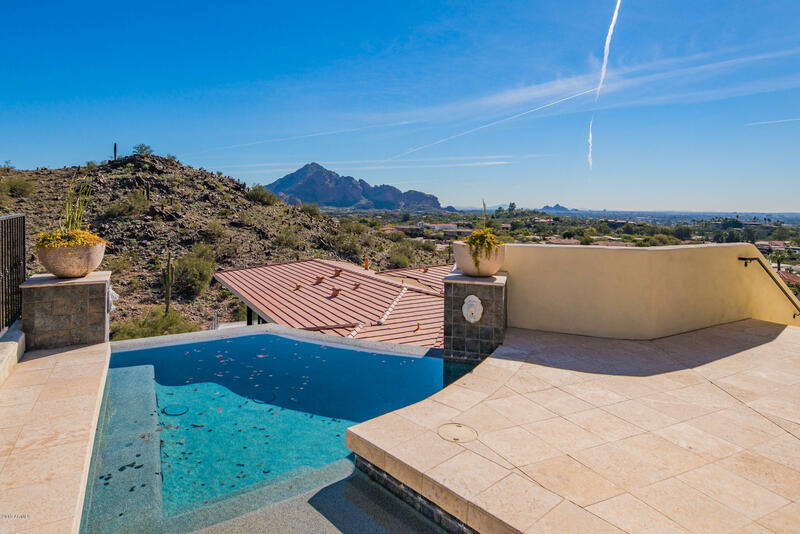 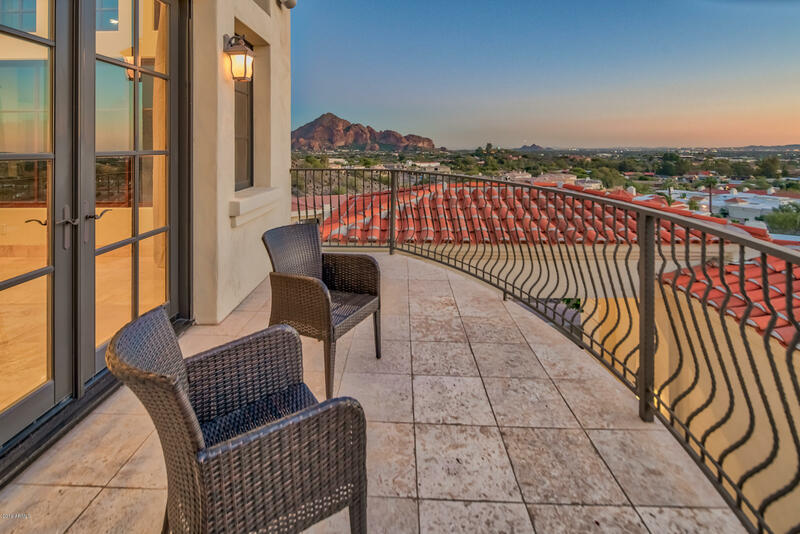 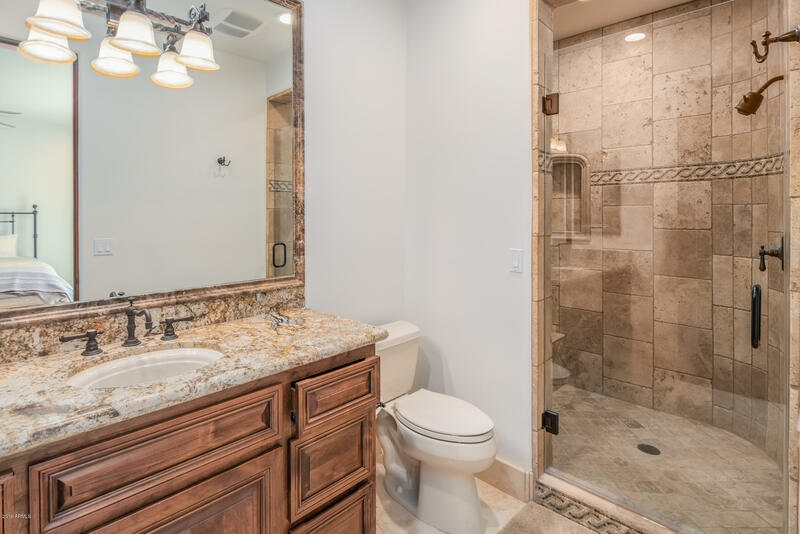 Have a look around the website for the ideal Scottsdale, AZ luxury community home. 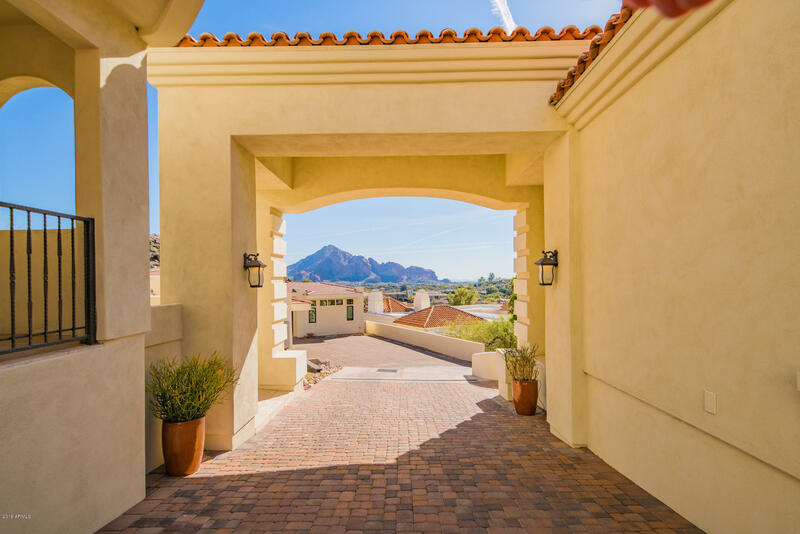 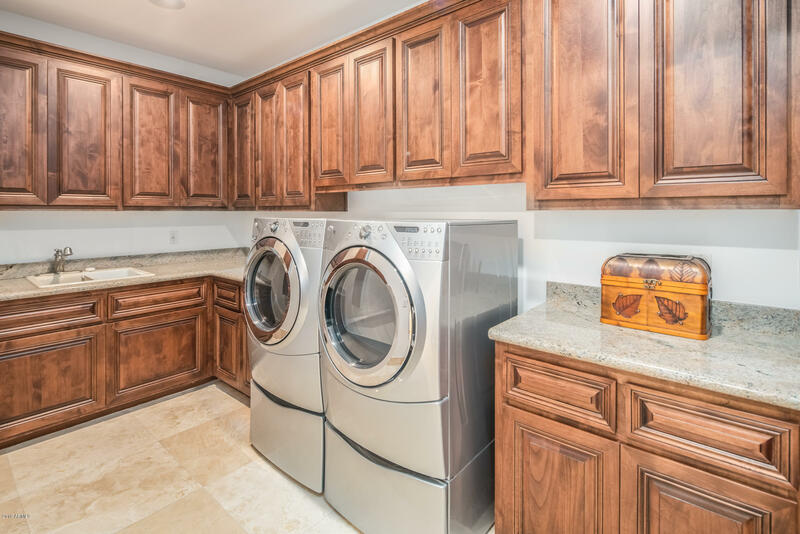 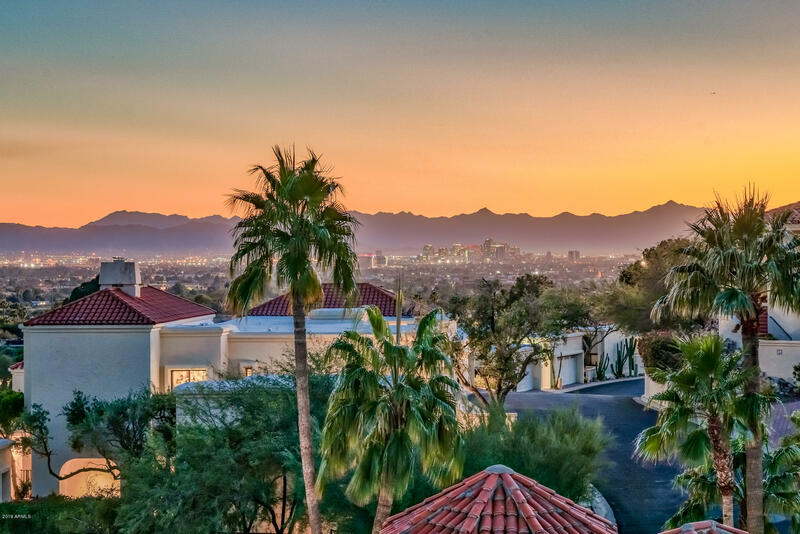 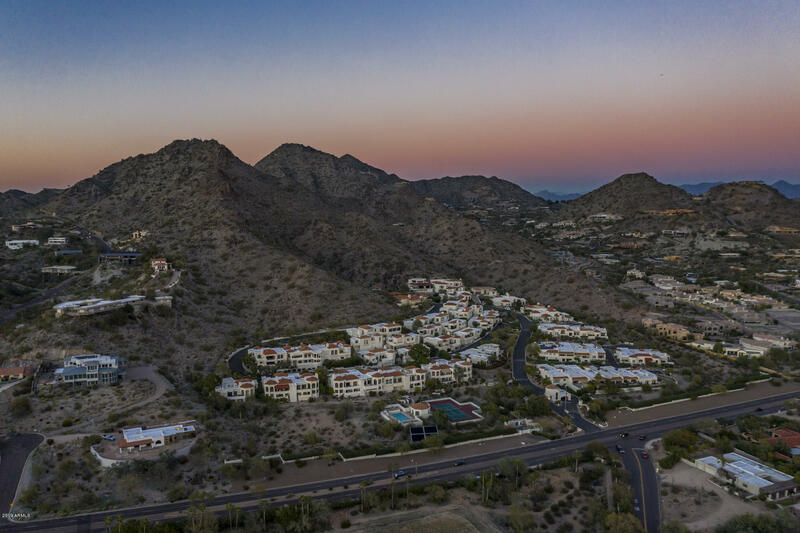 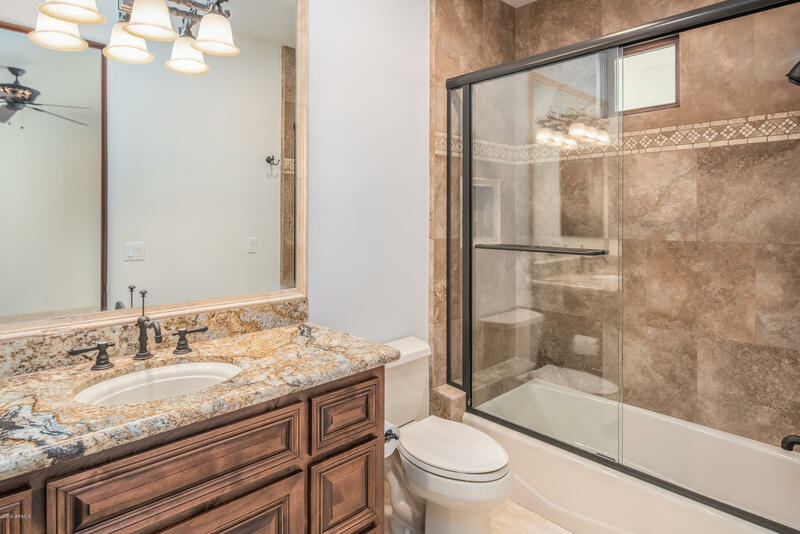 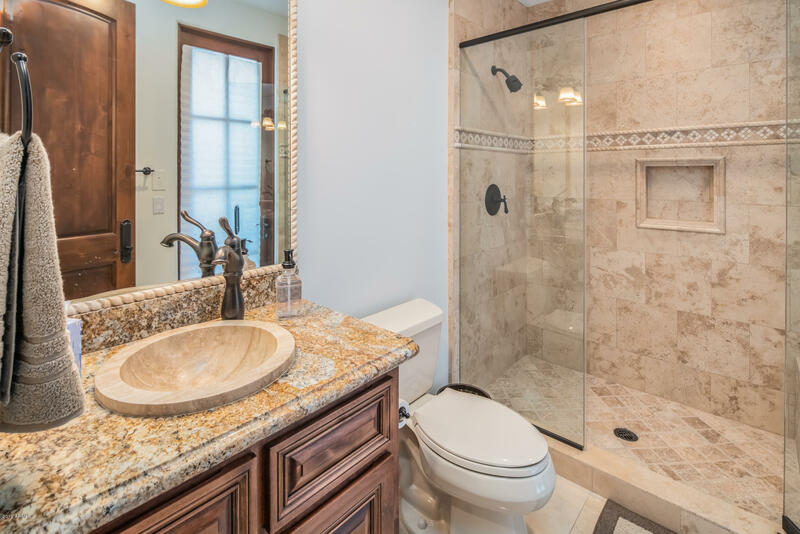 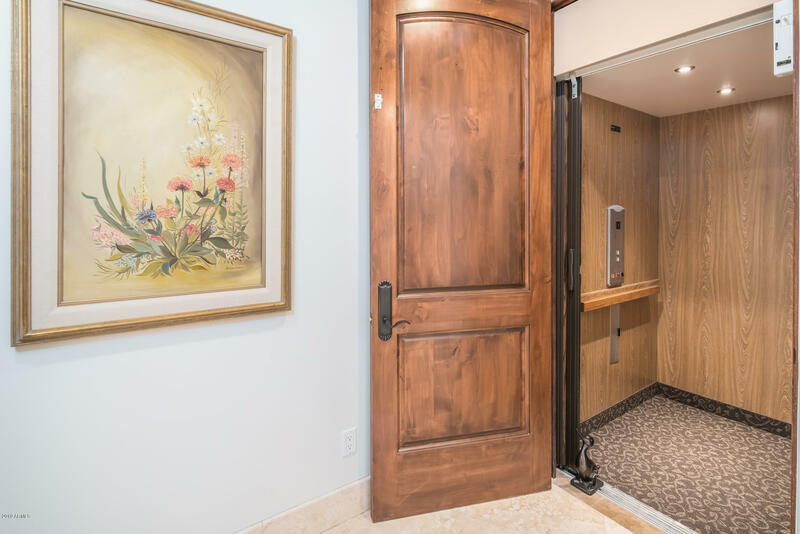 Through here, you’ll discover how Denise Wedepohl, a top luxury community specialist, can assist you in making your personal real estate dreams come to life. 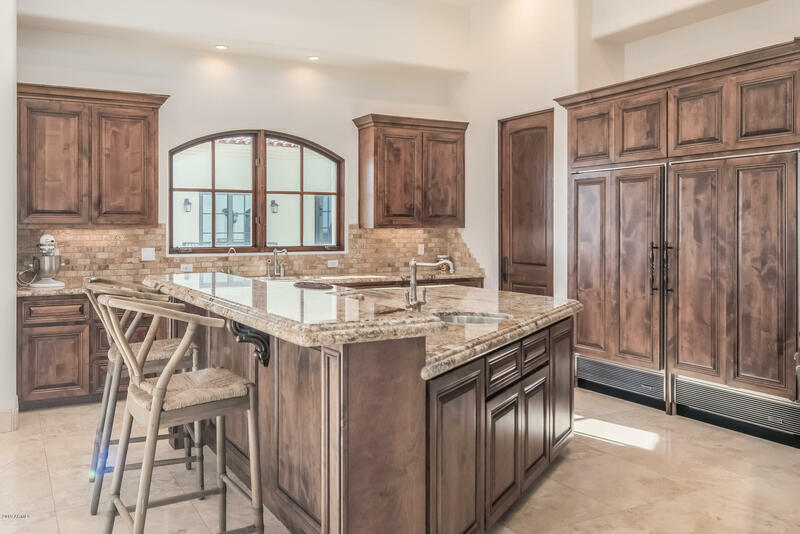 Denise Wedepohl's innovative Internet tools and superior customer service aid in making your home buying or selling experience stress-free and an enjoyable one . 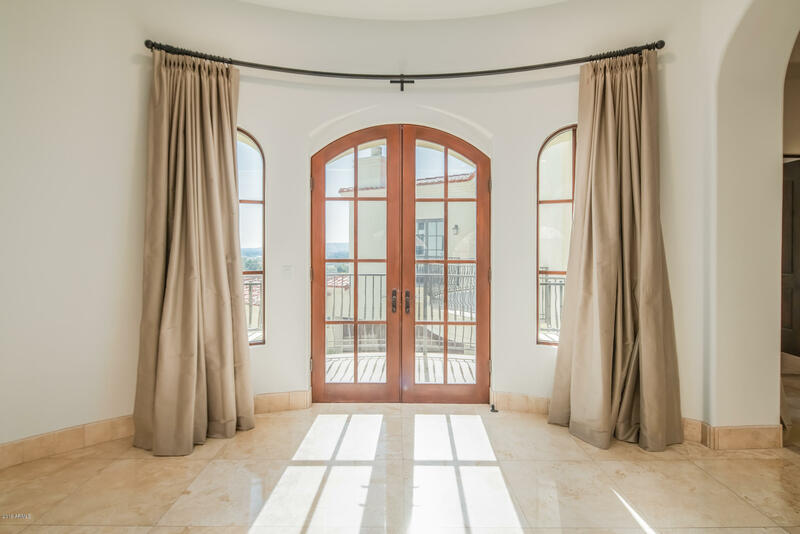 If you have any questions or would like consultation with Denise Wedepohl, simply fill out the brief form here. 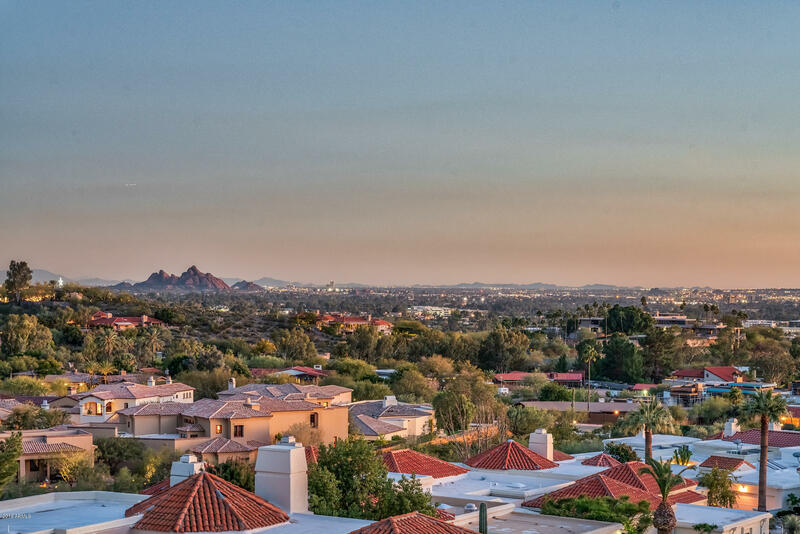 Denise Wedepohl will get back to you at the soonest possible time to help assist you with your personal situation. 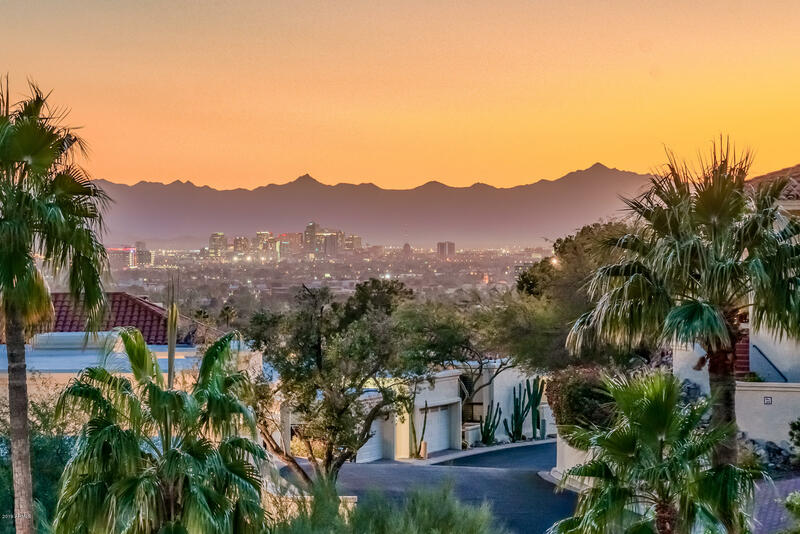 Denise’s personal consultations regarding real estate are always free of charge.